I am Sameer suffering from Colour Blindness. When I came to know that I am a colour blind person, I was so upset. I totally lost my confidence but then I found something really great and that was a clinic Sanjeevan which is really became a Sanjeevani for my carriers and for that I would like to thank you guys from the bottom of my heart. I will recommend this “Sanjeevan” to all those who are disappointed due to their eye-vision problems. Now, I can say that I am really total satisfied with the treatment. 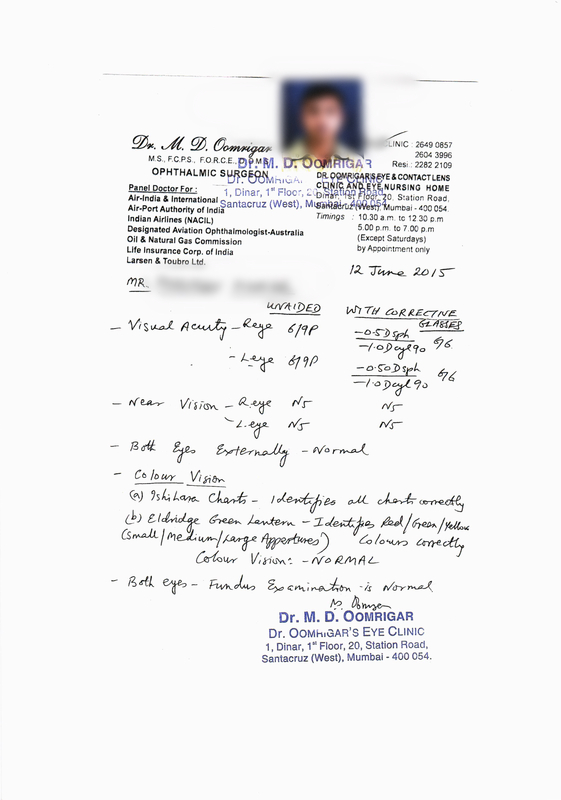 Thank you very much to the doctors in the Sanjeevan perfect for eyesight for curing my vision. 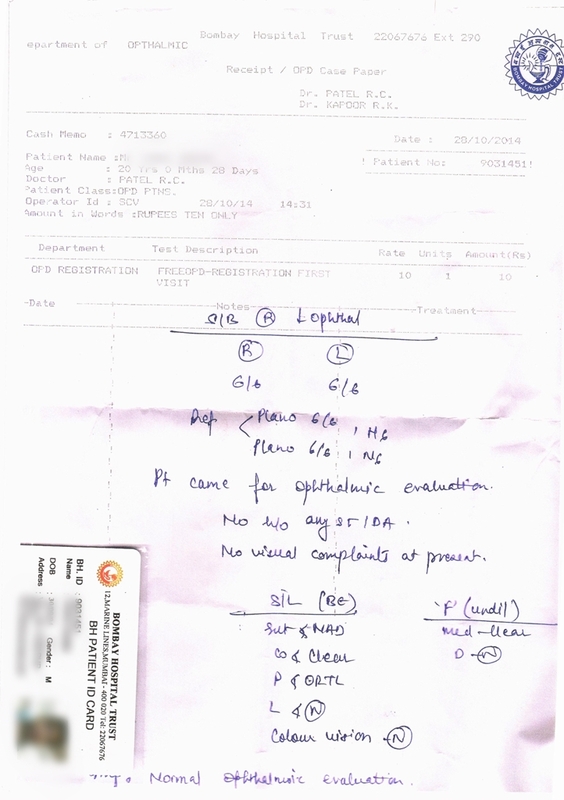 The doctors and all the staff are very sweet and very kind, I was suspected and then concluded for defective colour vision so basically my right eye was not able to make out red colour and left eye was not able to see green colour. 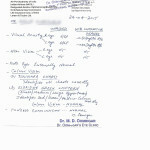 So, Dr Goyal helped me with my case and now after 10 Days my vision is Normal. Thank you very much to the Doctors and All the staff. The team led by DR. K. K. Goyal and DR. Suman Goyal is highly committed and passionate towards providing perfect eyesight. The treatment provided here are absolutely natural and medicine free. The staff is very friendly and supportive. If 60% is treatment then 40% is confidence, so keep the josh high. a Sanjeevani for my carriers and for my dreams. Dr. K. K. Goyal is really an amazing person and a Doctor, DR. Suman Goyal who really a great person treated me at their best. 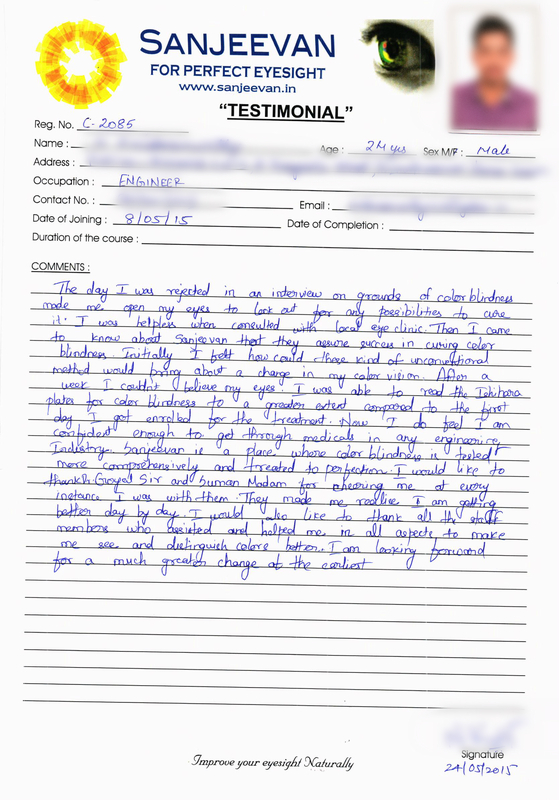 The total experience in Sanjeevan is very much awesome and grateful. The staff Manoj, Payal, and Deepali is very friendly. I would like to thank you guys from the bottom of my heart. I will recommend this “Sanjeevan” to all those who are disappointed due to their eye-vision problems. 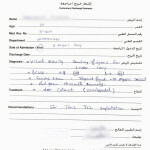 Now, I can say that I am really total satisfied with the treatment. I am Vinay, working in Merchant Navy. I was having problem of Colour Blindness two years back. 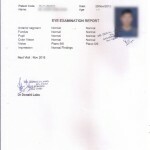 I came to Sanjeevan For Perfect Eyesight in 2017 and done treatment for 45 days then, I was cured and I gave medical and cleared perfectly without any problem. Again in 2019 I came to Sanjeevan for treatment, after 5 days of treatment I went for my medical examination and cleared it, and soon going to join Sailing. Thanks to Everyone in Sanjeevan, specially Dr. Suman Mam, without her this would have not been possible. Just because of her I fulfilled my dreams. Initially when I came I could read only 4 Plates of Ishihara. Then I took guidance from Dr. K.K.Goyal & Dr. Suman Goyal, who guided me properly with Patience. After following the daily treatment with the help of Staff members of Sanjeevan, my Colour Perception has become normal and I can comfortably read all plates of Ishihara. 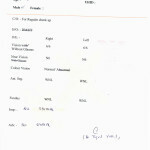 I went to various Doctors for my medical Checkup, there I am declared Normal which made me more Confident. I thank Sanjeevan for helping me….! 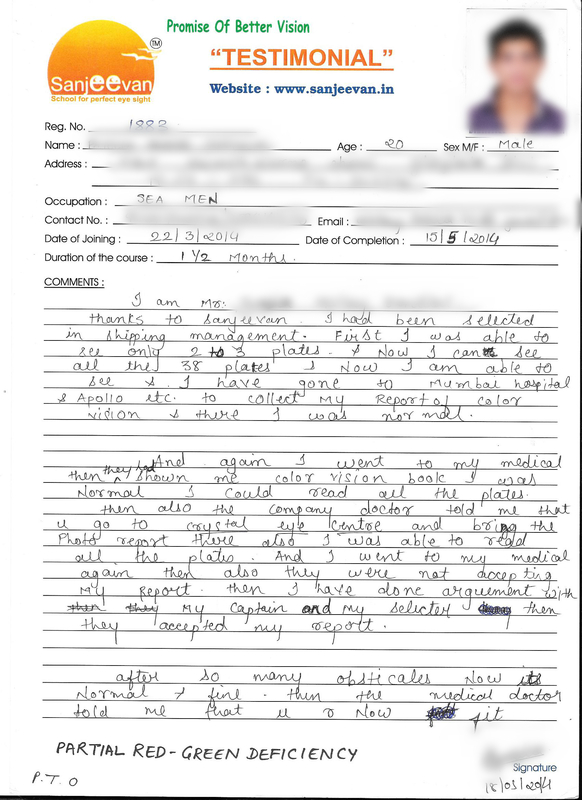 I was declared unfit for Sea Service due to my problem in colourvvision, Immediately after that I searched the internet and got to know about Sanjeevan For Perfect Eyesight. 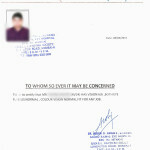 When I met to Dr. K.K.Goyal and I was convinced to join for Treatment. 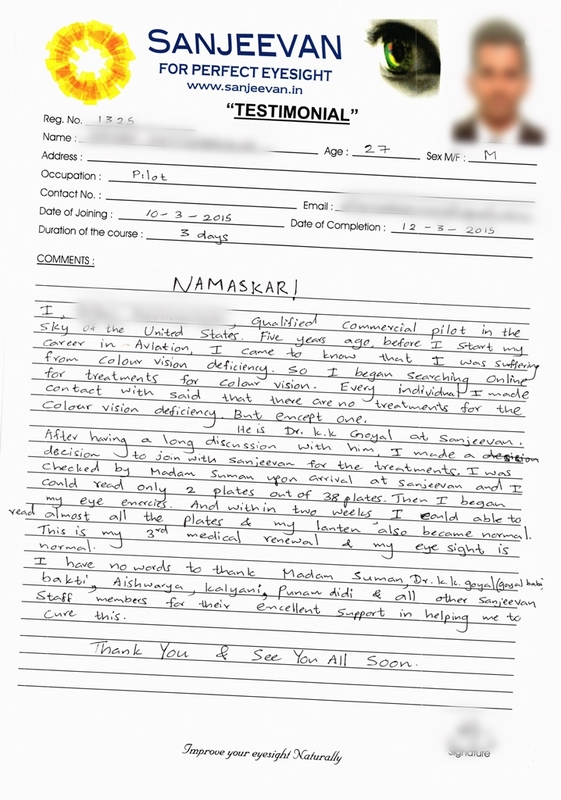 At the beginning of the Treatment I was unable to read the Ishiara Plates and could only identify three of them but now I am able to identify all the Ishiara Plates.Everybody have helped me in Sanjeevan to complete my sessions properly and I feel confident enough to go to my medicals. I am Sushil Jadhav. I got recommended for Officers Training Academy 109th Course. 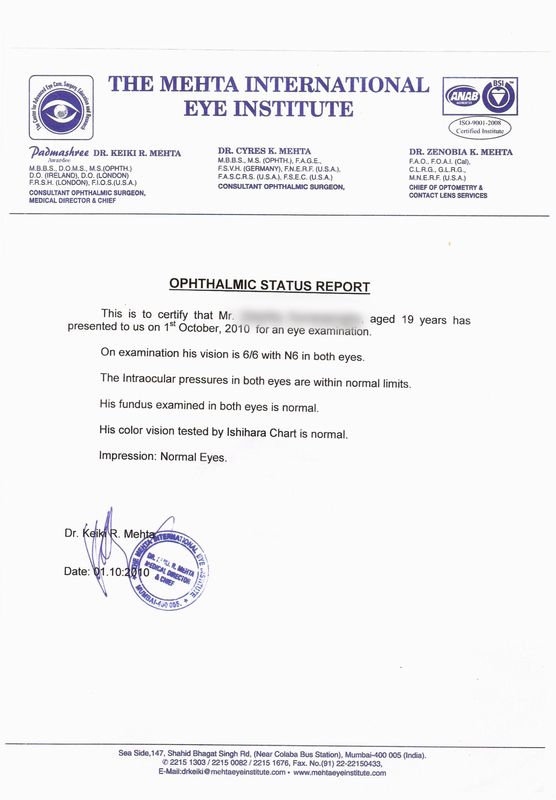 I got temporary rejected for colourblindness, Intermittent exotropia, High axis length. I had lost all the hopes when I got temporary rejected for these problems. I thought there is no treatment for colourblindness, I searched online then I found Sanjeevan For Perfect Eyesight. 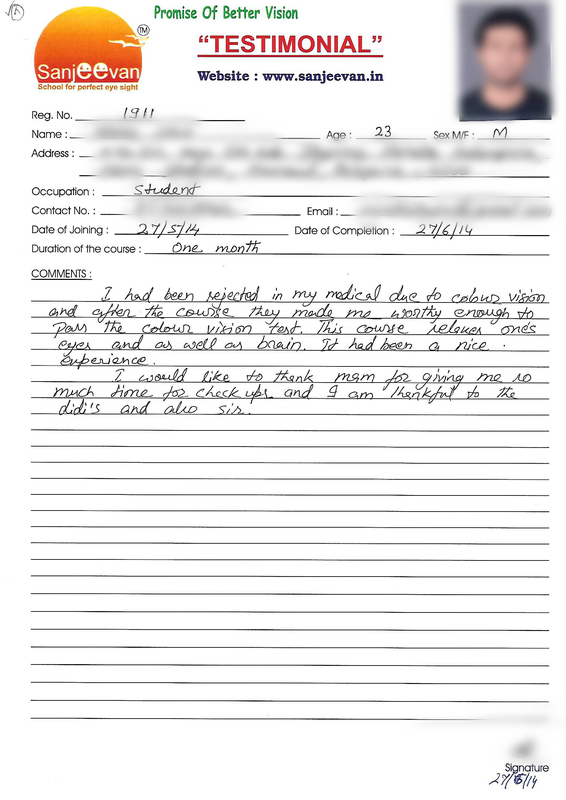 I decided to go for this treatment and in about 20 days I saw improvement in my vision.With the help of the treatment and with the Support of Doctors I was improving day by day. A Combine effect of treatment and the guidance of the doctor. I appeared for the Medicals in Pune after 20 days of treatment. 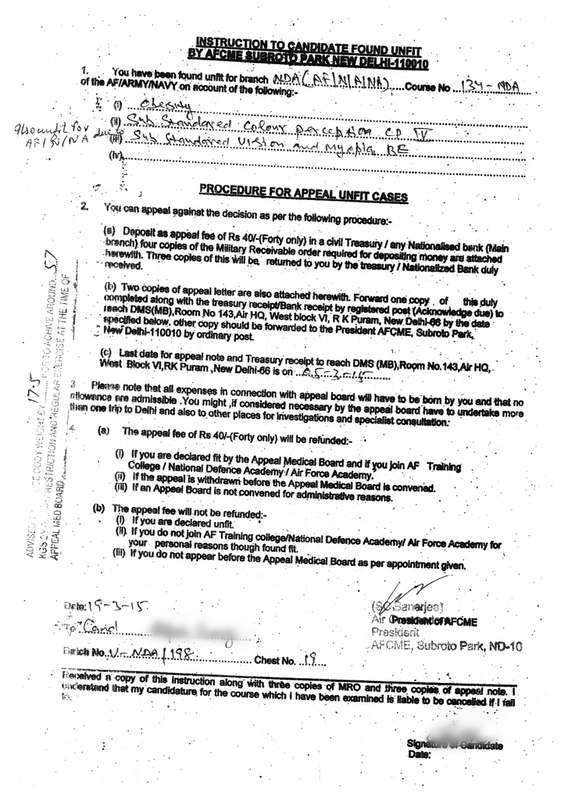 I was able to clear the medicals & now I will be joining Officers Training Academy in Chennai. I had a wonderful experience. This Place helped me to achieve my dreams.I am very Thankful to All the Doctors and all the supporting staff for their guidance and help.Thank You….!! I came here because, I have partial red-green colour blindness problem. The exercises that I used to do here really help me to read Ishihara Book in 20 days.I don’t know how it happened, because as a science student, I know it very well that Colourblindness is genetic. I cant believe that I can read whole Ishihara book.One Concluding Remark.Have believe in the whole set-up arranged by Sanjeevan and Practice daily and sooner you will be able to Perceive Colours. When I came to know about my Colour vision problem I was absolutely shattered. I didn’t knew what to do. 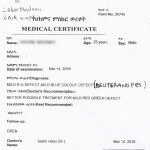 I visited some of the doctors to confirm that I am colourblind or not. They told me to change the field as there is no treatment for this problem. 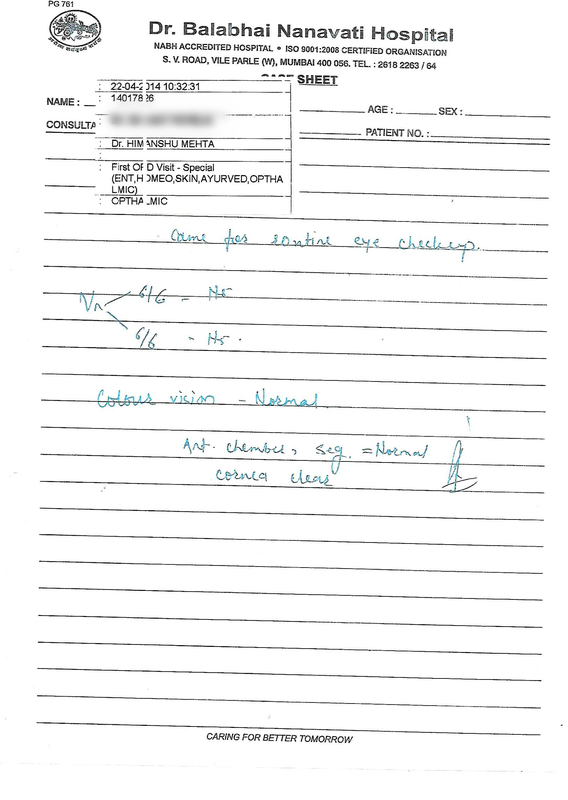 Still I started searching for this treatment online and I found Sanjeevan for perfect eyesight. Before coming Sanjeevan, loads of queries arises in my mind. 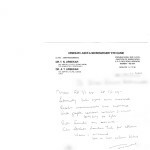 I called up for the inquiry and spoken with Dr K.K. Goyal Sir. He assured me for the treatment here. Next day I came to Sanjeevan. 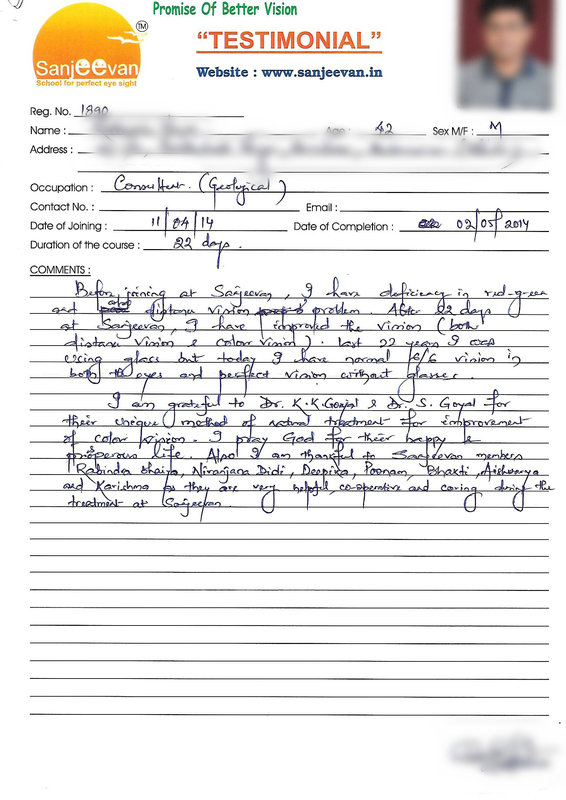 Dr Goyal told me confidently that we cure Colourblindness, So without wasting time I joined Sanjeevan. From very first day I started feeling drastic change after doing few sessions. After that I started getting confidence & today I am very glad to tell you that my Colour vision is cured. After visiting some hospitals, today I am really thankful to Dr. Suman Ma’am for treating me so nicely & thanks to Dr Goyal Sir, he also motivated me everyday. Special Thanks to all the Staff of Sanjeevan who helped me a lot. The Staff here are very Friendly and Supportive. 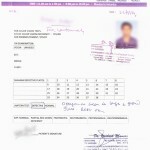 This is Suresh Nammi Kumar, I was rejected in my premedical. I was very much disappointed and I searched for colourblindness treatment which was only one in India that is Sanjeevan. Immediately I and my brother came to Mumbai to met Dr Goyal. When I was talking with Dr Goyal, I noticed that he was very confidently saying that he can cure. So I went for the checkup that time I read only 6 plates of Ishihara book. On 21st November I started my session here. After 4 days I did my checkup with Dr Suman Ma’am. I answered 20 plates. I was happy that within 4days I got improved. Dr. Suman Madam is very nice person. She treated me very soft and explained everything. 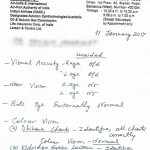 After 24 days treatment, I went to check my vision and colourblindness test in Bombay hospital. There I cleared and fit, then I went to St.George hospital there also I cleared. So now i am confident for my medicals. I have to thank all the staff. Each and everyone who treated me like a brother and explained me what all treatment to be done how. 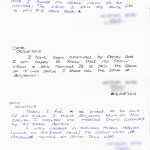 Thanks to Swati and Priyanka who helped me during the treatment. Once again I thank to Dr K.K Goyal & Suman Madam, now I am leaving Mumbai but I will remember Sanjeevan for perfect eyesight and their Staff. A POSITIVE ATTITUDE CAN REALLY MAKE DREAM COME TRUE, IT DID IT FOR ME….! It is long time I was worried about Colourblindness. 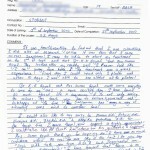 It became a great barrier when it came to my career, I got frustrated and was reading a way to get rid of my deficiency. Finally I got up with Sanjeevan for perfect eyesight in google. Then I and my Father came to Sanjeevan to meet Dr K.K. Goyal & Suman Goyal. My treatment started and it really worked. The Doctors are very caring and staff are very good. 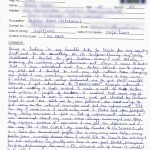 I am Vishal Koli, I want to thank Sanjeevan. I have been selected in CISF PARAMILITARY FORCE. Before joining I was able to see 8 pates but now after the sessions I am able to see all the plates. 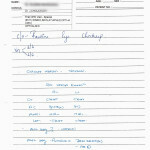 I went to Bombay Hospital, Saint George Hospital, there my reports are Normal. Under the Guidance of Dr K.K Goyal & Suman Goyal it was possible. They have told me that your Vision will definitely improve. This definitely word made loads of difference. I Thank all the Doctors and all staff. My dream was not achieved, when I came to know about my unfit condition for medical. After searching a lot about its treatment I came to know about Sanjeevan. 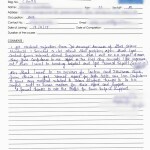 They treated my Problem and after that I was able to fulfil my dream by clearing my medicals. While I was bring treated, I never felt that I was away from my home. 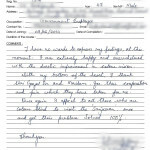 Sir, Ma’am and all the staff treated me like family members. Finally I am going to achieve my goals. 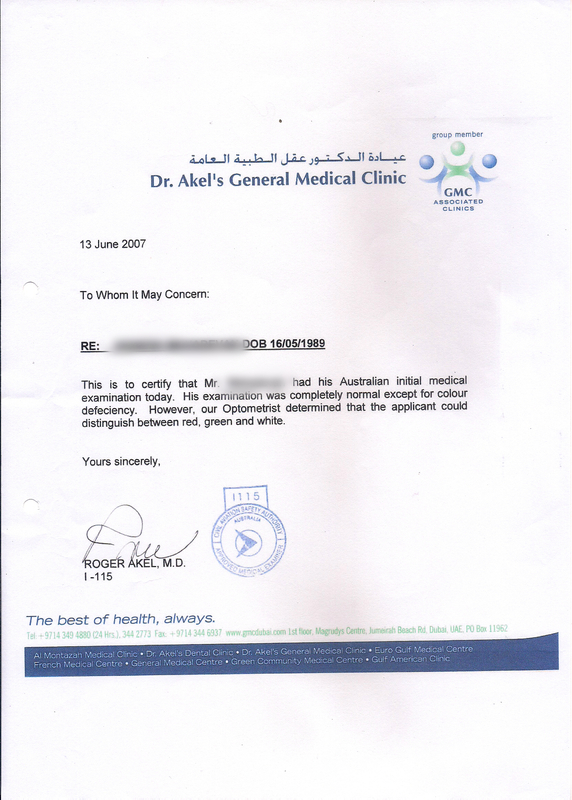 I still cannot put it into words how bad I felt the first time I failed my medical. 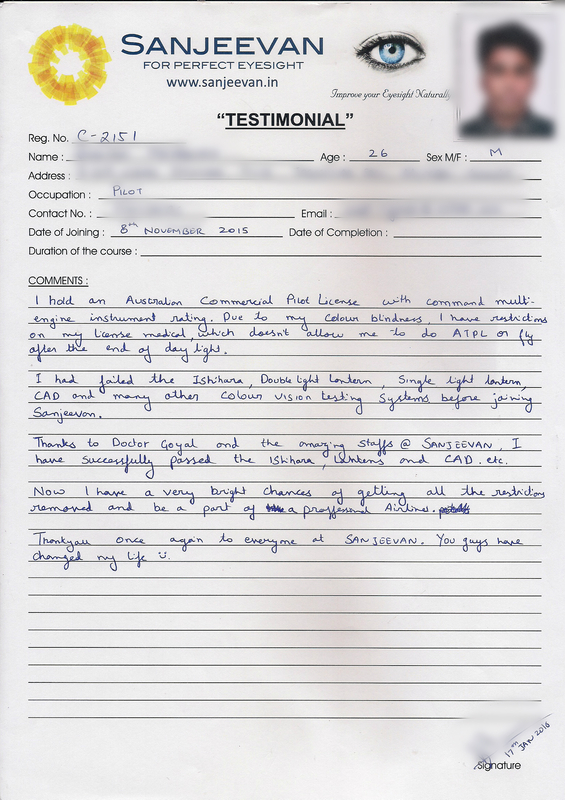 My passion to become a pilot shattered right in front of my eyes then a friend of mine recommended me “Sanjeevan”. From the first day, the whole staff motivated me and nurtured me to gain a good sight. 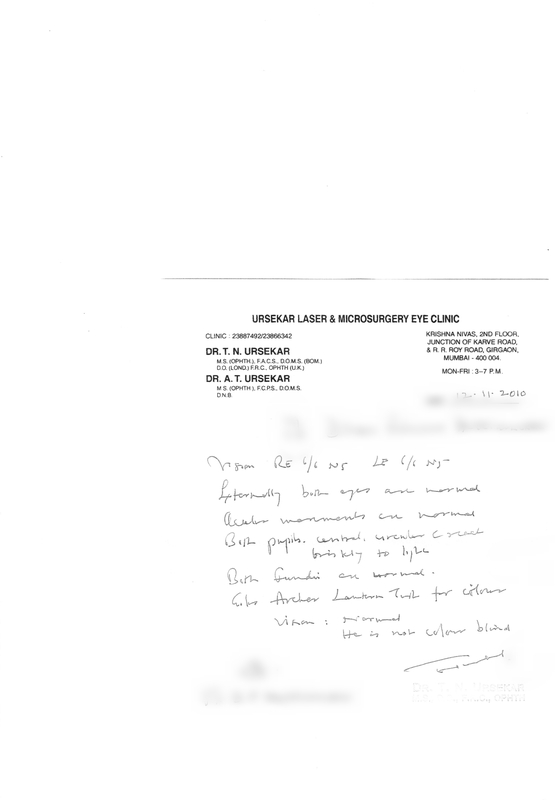 The tenderness from Dr. Suman pushed me even further and made me believe I can clear any eye test. Today after clearing medical test of four Countries USA, Canada, India & Philippines. I can Proudly say I am not a colourblind anymore. 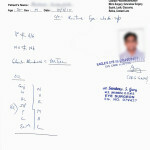 Thank you all the staff & Dr.k.k Goyal & Dr .S.K Goyal for the career I am living now. ALL THE BEST, KEEP IT UP & KEEP FULFILLING WISHES OF THOUSANDS. I was in 12th when I got to know I’m Colourblind and Amblyopic eye and since my childhood my dream was to join Merchant Navy. And the day I knew I was colourblind I was totally pissed off.I didn’t knew what to do. I visited some of the doctors to confirm that I am Colourblind or not. 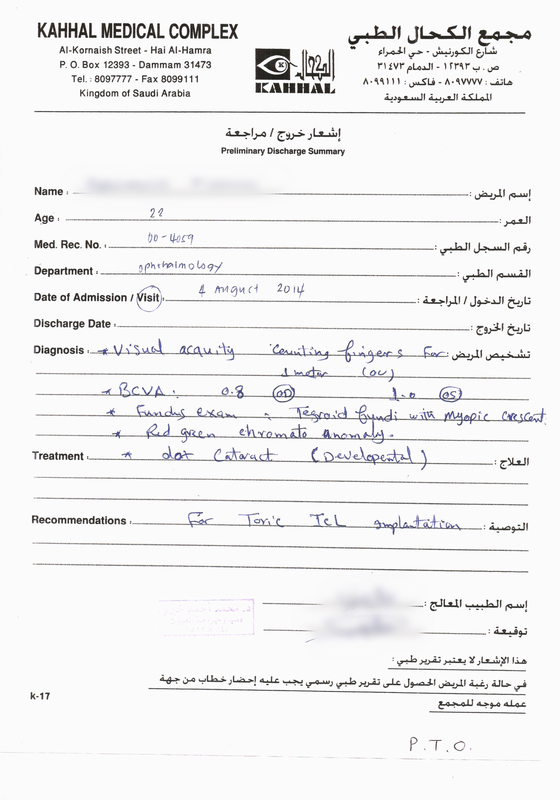 They told me to change the field as there is no treatment for this problem. 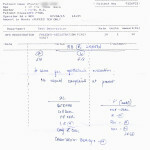 Still I started searching for this treatment online and I found Sanjeevan for perfect eyesight. 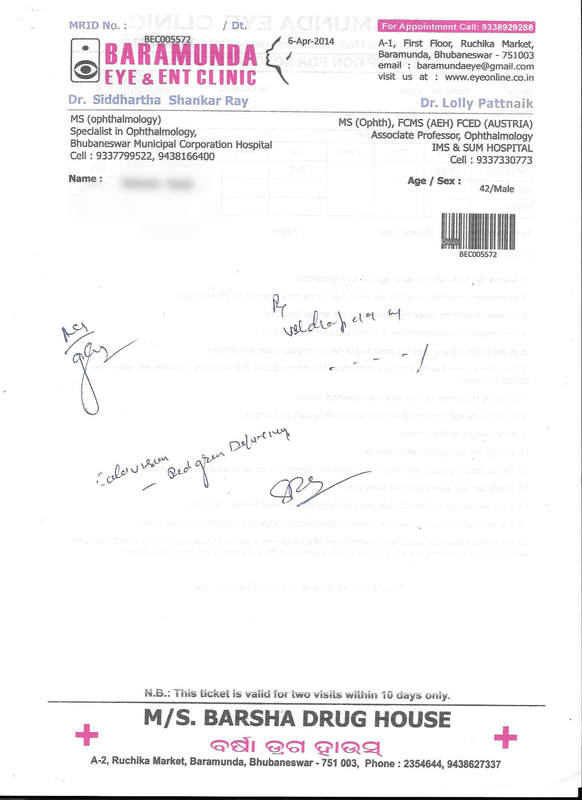 I called up for the inquiry and spoken with Dr K K Goyal, he assured me for the treatment here. Next day I came to sanjeevan and did my consultation. I was mild proton, Dr K K Goyal told me confidently that we can cure colourblindness. 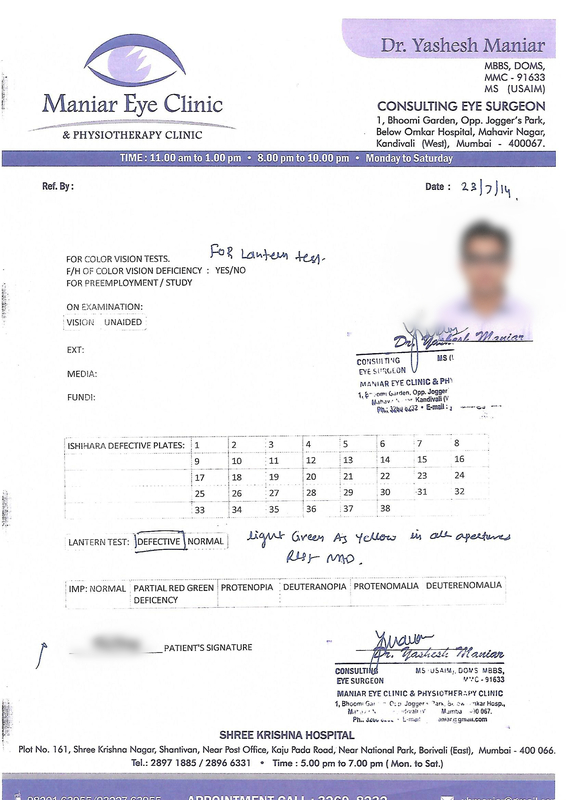 I started my session and after the first session Dr Suman Goyal checked me and I was able to read about 8 plates after 1 session and before I read only 2 plates. I was amazed. Ma’am helped me a lot during the treatment. It was like a miracle. 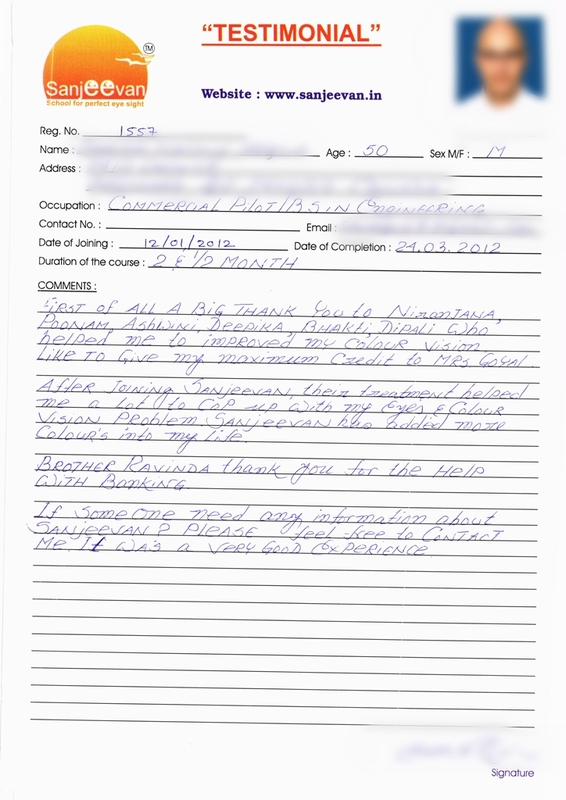 I thank Dr Rohan for his good words.The staff here are very friendly and helpful especially Payal who took good care during the treatment. After my treatment my amblyopic eye’s vision is 6/9 and I am able to read all the Ishihara plates. Now I am Normal person who don’t have colourblind. 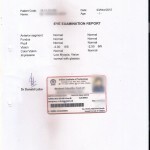 And I also cleared my Medical examination for Merchant Navy. I want to thank everyone in Sanjeevan. 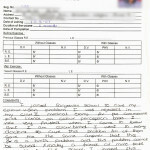 I am Girish Gopal, I am a student and have just completed my 12th Standard. I wanted to join Merchant Navy. I came to know I have a disease of Colourblindness which is by birth and we cant cure it. One day I was searching a treatment of colour blindness on internet and saw there is a treatment of the same at Sanjeevan for perfect eyesight,Mumbai. I contacted here and the Doctors assured me a perfect treatment for my disease and finally I arrived here and my treatment started. For 1month 20 days I have been treated here very nicely & gently. Everyone was very good with me and everyone treated me like family. Special thanks to Dr. Suman Goyal, Dr.K.K Goyal, Dr.Rohan Goyal and all the staff of Sanjeevan individually for treating the best and now I can achieve my life goals because of them. I pray to god that no one would ever have any eye problem like me. Thank you very much for changing my life.! I joined Sanjeevan after finding about my Red-Green colour deficiency. It was last option as I was very keen on becoming a commercial Pilot. 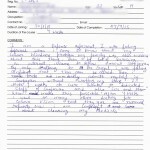 Sanjeevan seemed as a very promising place and has delivered. Initially I went through the comprehensive tests conducted at Sanjeevan that determined the type and extent of colour vision deficiency. 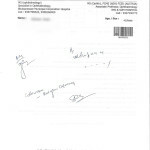 After which the doctors, Dr Goyal & Dr Rohan reassured me that it can be treated and cured. 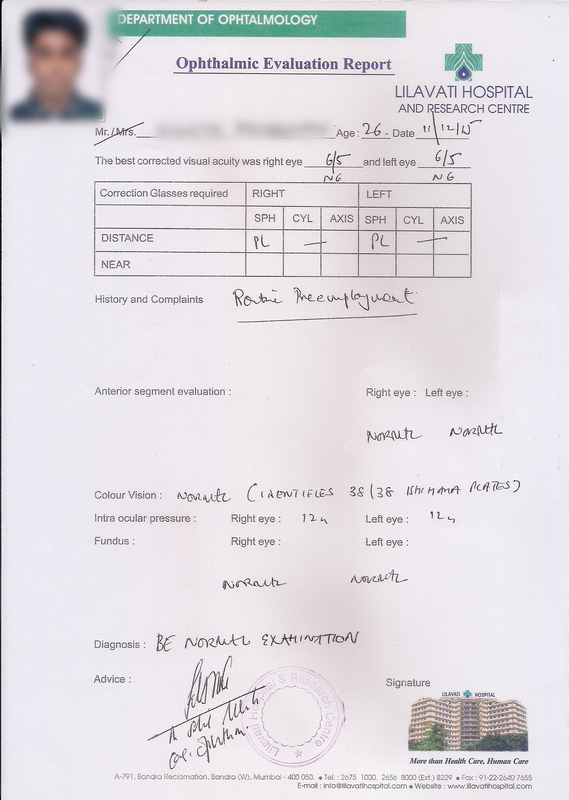 As their approach was professional, I opted for joining and as I am writing this, I am happy to say that my colour vision has drastically improved and I have cleared my DGCA class-2 medicals amongst few tests. I’d also like to Thank Dr. Suman Ma’am for the constant guidance and care. 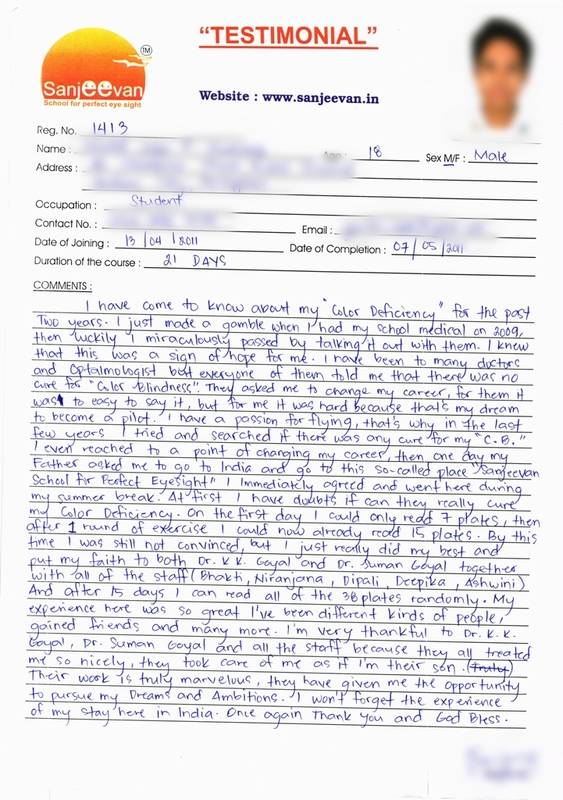 She has personally helped me overcome this obstacle and seen my treatment through.I ‘d also like to thank Ms. Payal, who helped a lot from the front desk and even thanks to all the girls who helped me with the treatment and made the period have a pleasant one. Overall I leave this place completely satisfied and confident but I will definitely miss it. It has provided me both professional and moral help & support. I would highly recommend it. Thank You. I joined Sanjeevan with Partial red-green deficiency. I was able to read only 6-7 Plates of Ishihara. But after the treatment within 6 months I was able to read all the Ishihara plates. I passed Pre-employment checkup of pharmaceutical MNC & currently working as a Scientist in the same Company. 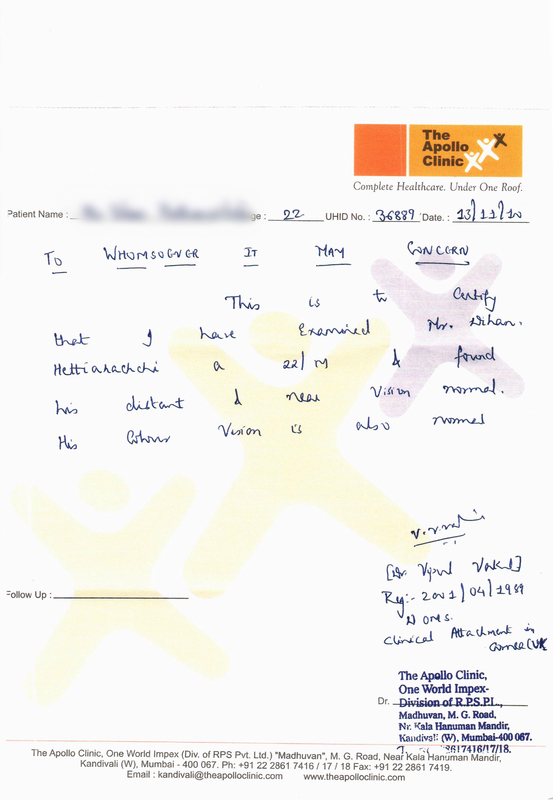 I would like to Thank Dr Mr. & Mrs. Goyal, and also the Sanjeevan staff. I want to join Merchant Navy. I had completed my 12th and had decided to go for medical examination,there I was declared fail because of Colour vision deficiency. I was shocked after hearing that. Doctors told me to leave my goals & dreams and switch for other goal. He also told me that there is no treatment for colour vision deficiency and no point of wasting money somewhere. But still I searched on google for the treatment of this problem & I found Sanjeevan hospital. 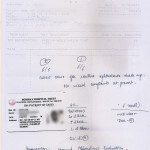 I came to Mumbai to talk about the process of the treatment, but then also I was not sure that there is any treatment. But when I came again and again to Doctor, he told just believe in us. I found interesting and I told my dad to check again. 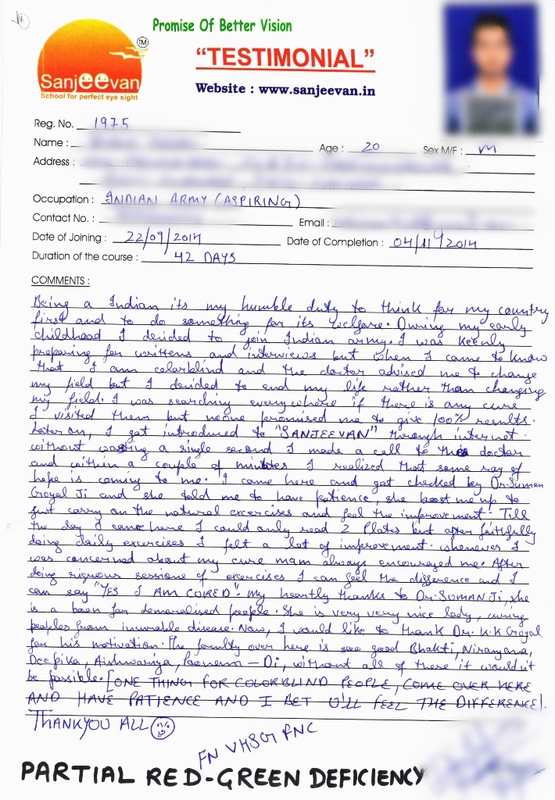 He also found interesting & then I joined Sanjeevan and started the treatment. After 15 days, I found rapid change and got confidence that I can do it. After visiting many hospitals today I feel I have completely overcome this problem. I am really thankful to mam for treating me like her kid. It really feels very good to talk to her & be with her for checkup. 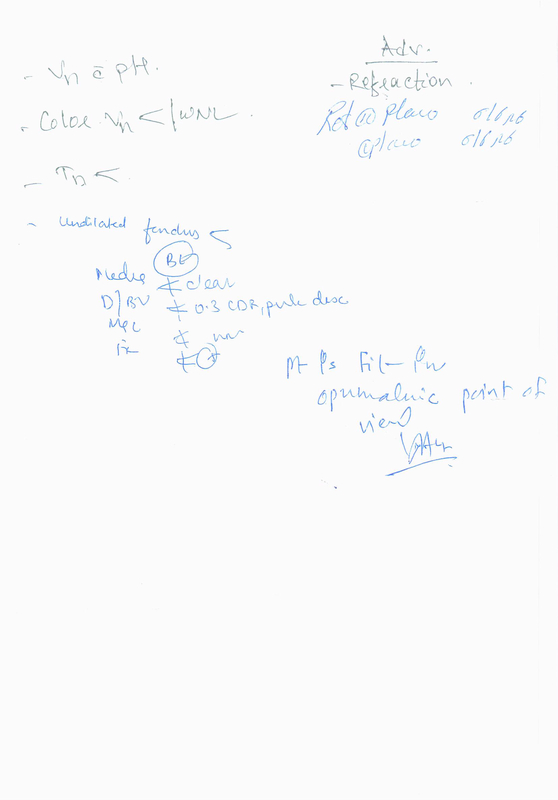 Thanks to Dr Goyal sir, he also motivated me everyday that you will definitely overcome this problem. Thank you so much to all the staff also. 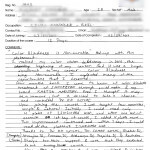 I Vishesh Shrigondekar, before starting the treatment, I had checked my eye for normal checkup but unfortunately I got to knew that I have colour-Vision problem. Then I searched for this treatment on internet and found Sanjeevan hospital. 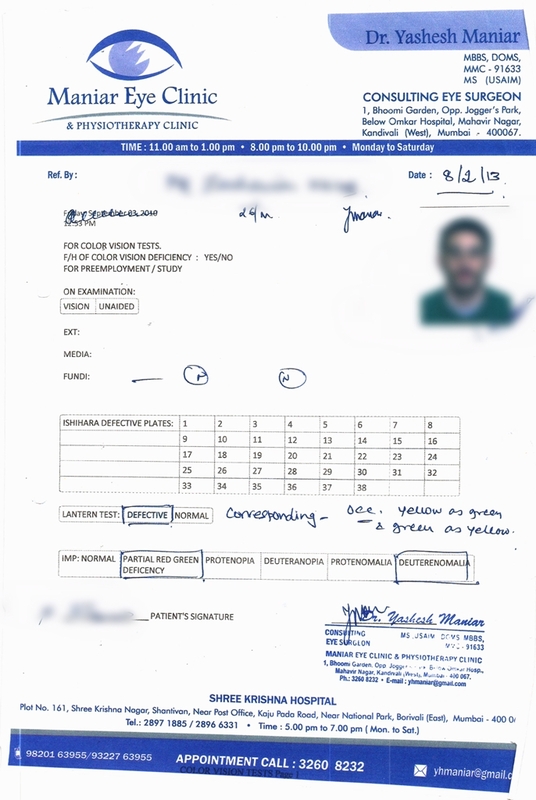 I joined Sanjeevan & after completing 5 weeks I went for normal vision checkup, and I found my colour vision was within normal level. I am so thankful to Dr Goyal Sir & Madam for the treatment. 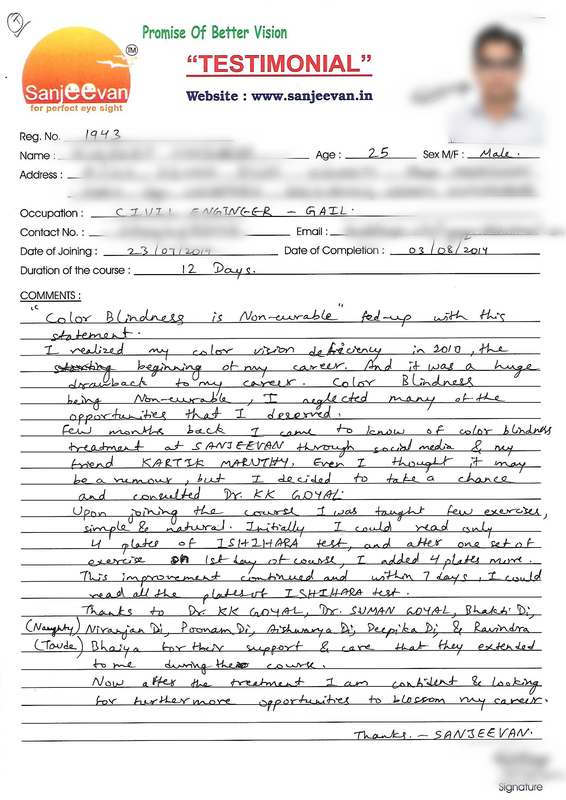 I am shocked that I cured and truly Sanjeevan is the sure & only hope for Colourblindness Patient. Last but not the least I thank each and every staff in sanjeevan. The staff is properly trained & are the key role for curing my Colour Vision. If you belive in any thing & do efforts honestly you always get solution for any problem. I came to know I had colourvision Deficiency (CVD) 10years ago. I knew it will create an obstacle to go into any field for future. After my graduation I worked in Indigo Airlines for 2years. Since I had CVD I was confined only to the terminal area. Later I started pursing MBA (Aviation) and had plans to go to corporate side of airlines. But there are chances of ending up myself in airport operation, which I am not eligible. So I came across Sanjeevan on internet. I came here during my summer break. I had rapid improvement starting from the first day, at gradually after completing the treatment. I cleared all the tests for CVD which I initially had at the first appointment time. For those whose career has a obstacle due to CVD, I definetly recommend Sanjeevan. 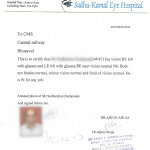 In this process I also improved my eyesight & now for me there is no need to wear glasses for eyesight. My name is Baljeet Saini. I had a problem of colour vision, before joining sanjeevan for perfect eyesight, I was able to read only 3-4 plates of Ishiara but after the treatment from sanjeevan, now I am able to read all the plates of Ishiara. 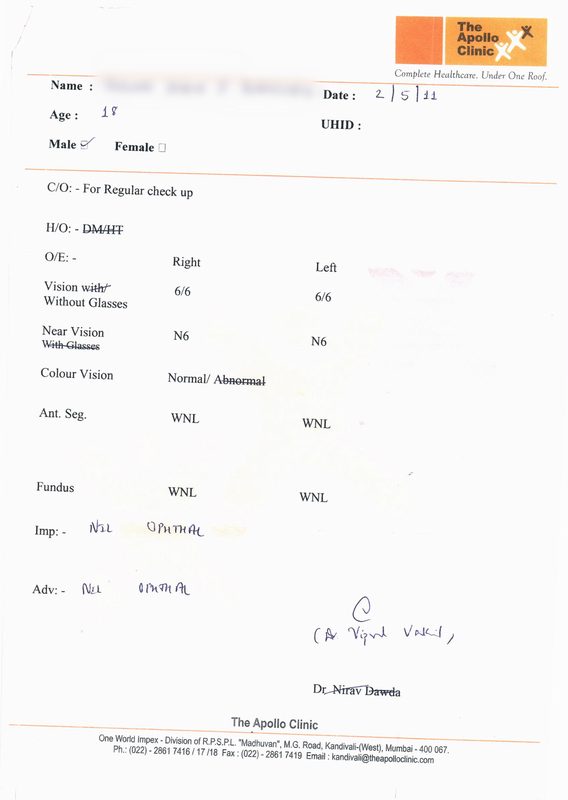 I did my eye checkup in many other hospitals & found clear colour vision. Normal colour vision is very important in our daily life, specially for driving & for any government jobs. 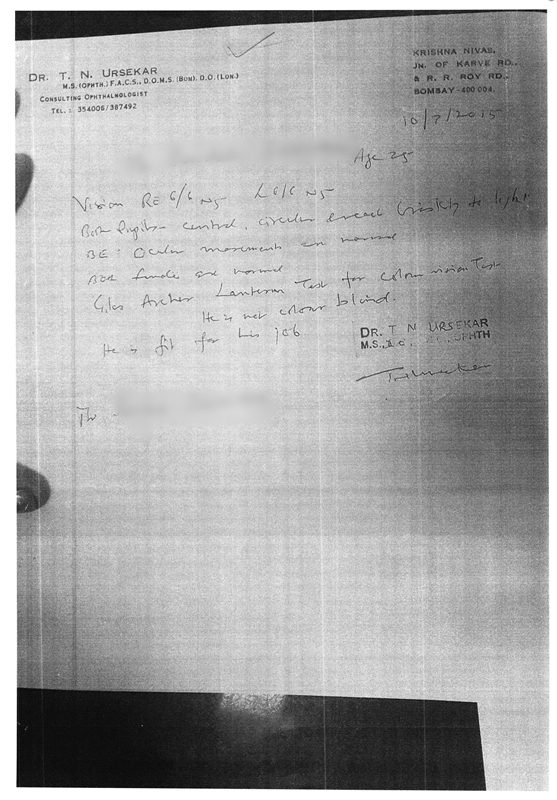 ‘I am happy to say that I have a normal colour vision’. I would like to thank Dr.Mr. and Mrs. Goyal and sanjeevan staff. Thank you very much for changing my life. I joined Sanjeevan with Partial red-green deficiency. I was able to read 6-7 Ishihara Plates. After the treatment within 6 months I was able to read all Ishihara plates. 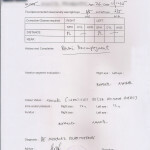 I passed employment checkup of Pharmaceutical MNC and currently working as Scientist in same company. 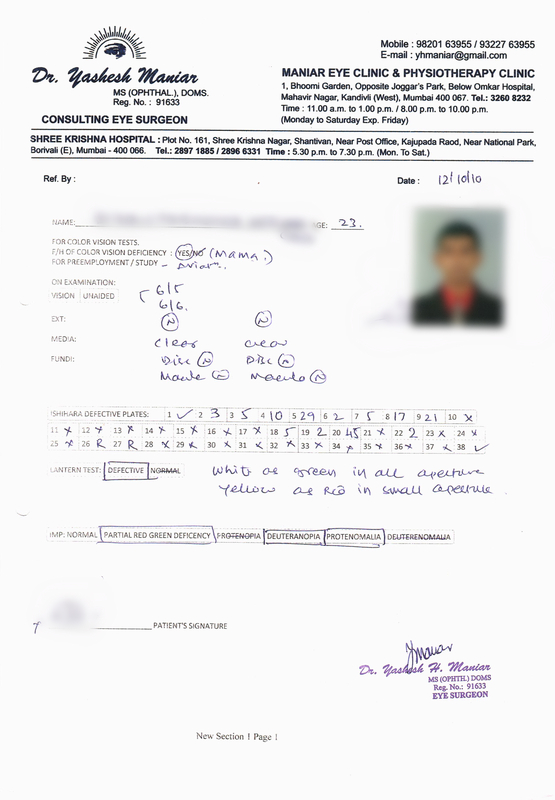 I would like to thank Dr.Mr and Mrs. Goyal and sanjeevan staff. Thank you very much for changing my life. I joined Sanjeevan with a strong colour vision deficiency. I was able to read only 3 out of 38 Ishihara plates. 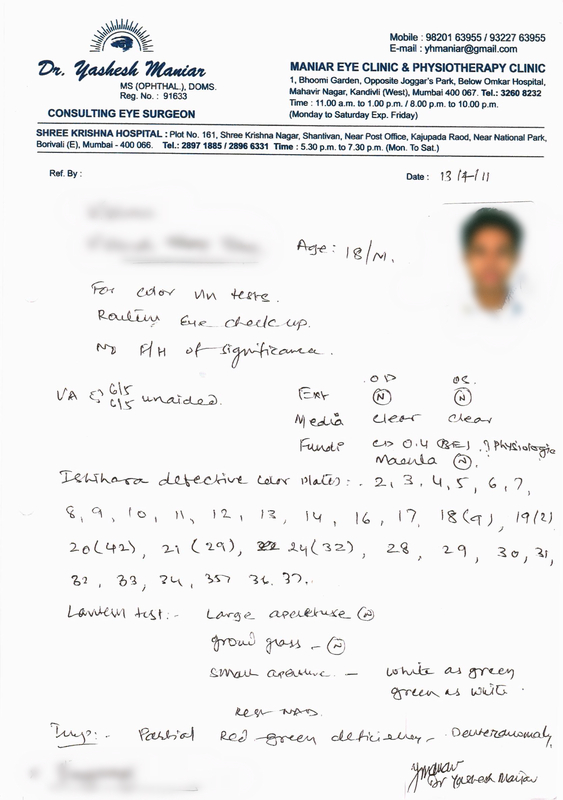 After the treatment of 40 days in Sanjeevan I am able to read all the plates and declared normal colour vision deficiency by several Opthomologists. I would like to Thank Dr and Mrs Goyal. I would like to thank each and every staff from Sanjeevan. I joined with high hopes and it was the hopes that took me in the right direction, the theory and the sessions with the Doctor,slowly but gradually treated my colour vision, it is almost perfect now, I can read Ishihara plates very well now, earlier I was able to read maximum 4 plates that also without confidence but now I can read all the plates and do the tracing as well, the key to success is a lot of concentration, doing session with concentration and relaxed mind is better then doing many session. It feels like when you are happy you can tend to see more colours and even Ishihara becomes easy. I joined Sanjeevan with a partial colour vision deficiency. I was able to read only 10 out of 38 plates in Ishihara book. 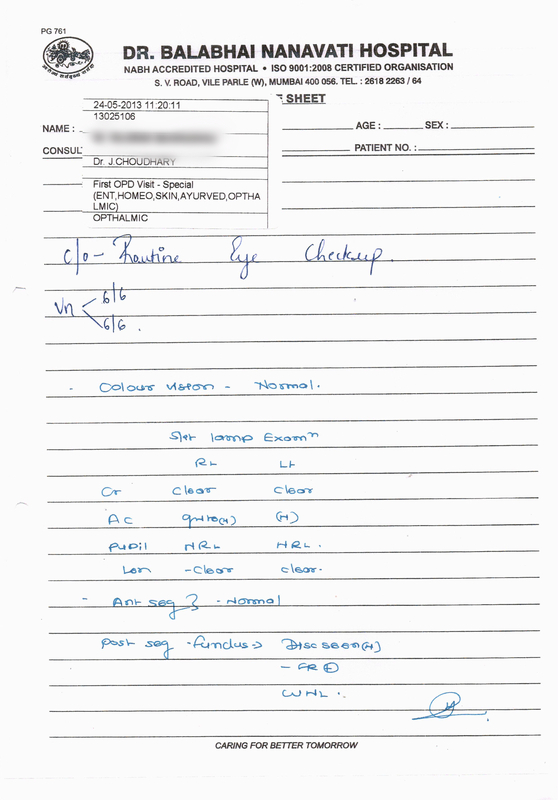 After the treatment of 45 days in Sanjeevan I was able to read all the plates and declared normal colour vision by several opthalmologists. 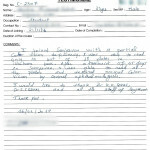 I would like to thank Dr. K. K. Goyal , Dr. Suman Goyal and all the staff of Sanjeevan. 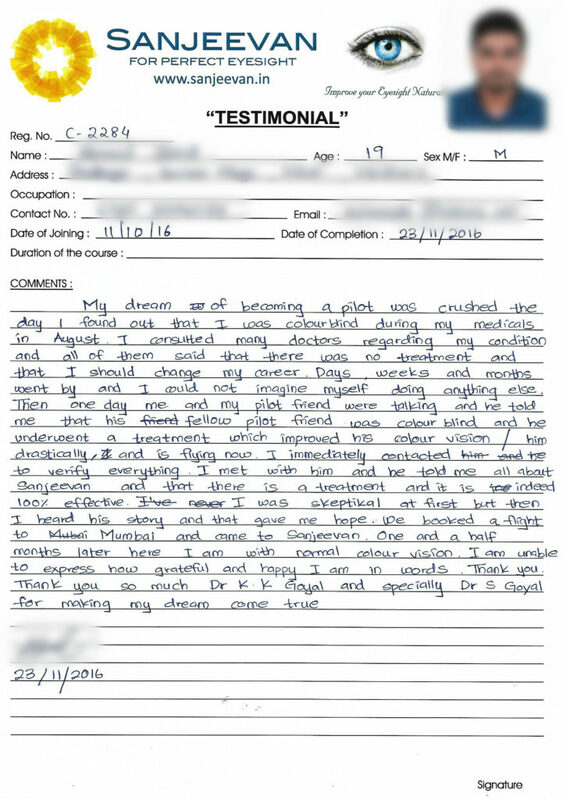 My dream of becoming a pilot was crushed the day I found out that I was colour blind during my medicals in August, I consulted many doctors regarding my condition and all of them said that there was no treatment and that I should change my career. Days, weeks and months went by and I could not imagine myself doing anything else. Then one day me and my friend were talking and he told me that his fellow pilot friend was colour blind and he underwent a treatment which improved his colour vision drastically, and he is flying now. I immediately contacted him to verify everything. I met him and he told me all about “Sanjeevan” and that there is a treatment and it is indeed 100% effective. I was skeptical at first but then I heard his story and that gave me hope. We booked a flight to Mumbai and came to “Sanjeevan” One and a half months later here I am with normal colour vision. I am unable to express how grateful and happy I am in words. Thank you so much Dr. K. K. Goyal and specially Dr. Suman Goyal for making my dream come true. I was colour blind and I knew it from the beginning as everyone told there is no treatment for colour blindness. My brother had cleared his colour blind problem from Sanjeevan, he told me it (sanjeevan) is the best place to get cure for colourblindness. As I came here I saw people from different field having colour blindness, before coming to Sanjeevan I didn’t know colour vision is involved in so many fields. During the time of my treatment the staff and the doctors played an important role as they helped me in getting my colour vsion back. On the first day I could not read a single number from the ishihara, but today because of the Doctors and the staff I can read all the numbers clearly. Hello, Friends My name is Uday Singh when I joined Aircraft Maintenance Engineering course I was unaware that I am partial colour blind. 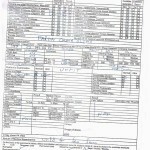 I did my first medical during the admission in Aircraft Maintenance Engineering. I came to know about my colour blind problem. I was very scared about the problem of my colour vision. 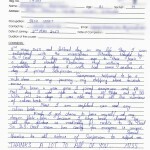 I was searching for treatment but all doctors told me that there was no treatment for colour blindness. 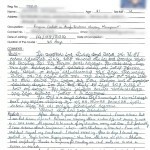 Then I came to know about Sanjeevan for perfect eyesight and with initial consultation I got 100% confirmed that I have had partial colour blindness . I joined Sanjeevan and today I am 100% normal. I thank all the Sanjeevan staff Sharmila mam, Yash bhai, Pratiksha mam, Apeksha mam,Aishwarya mam, Deepali mam,Pramila mam, Kalyani mam. Thank you & I will miss you all. 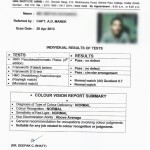 Hello, I am Raghav Mate from Solapur, my colour blindness problem was detected in 2011, that time I was in 12th std. I am very frustrated because I was preparing for NDA, then I left the whichever preparation & started searching for treatment of colour blindness. I met number of doctors, they said there is no treatment for colour blindness, One day I surfed internet and I came to know about “ Sanjeevan for perfect eyesight” I called Dr. K.K.Goyal, gave me all information. 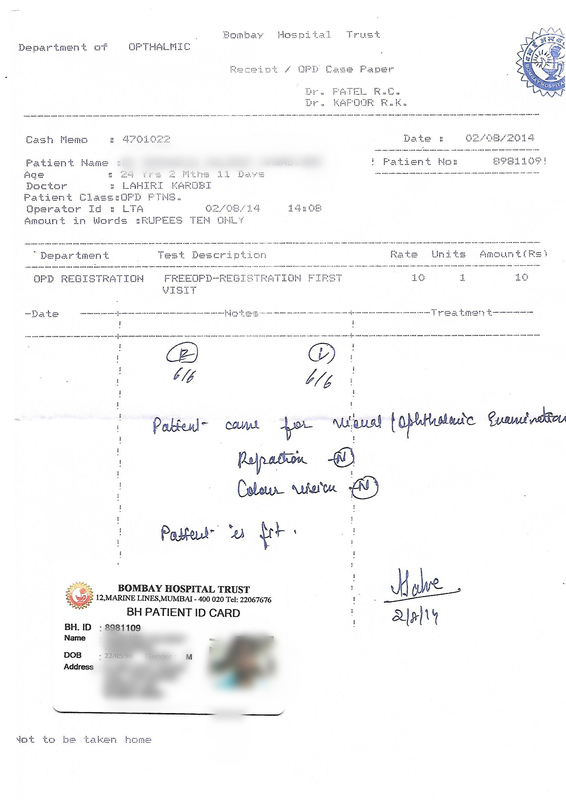 I told him that whichever doctors I met they said there is no treatment, but Dr. Goyal said he will make me normal. So, I believed him and joined Sanjeevan on 24/12/2015. 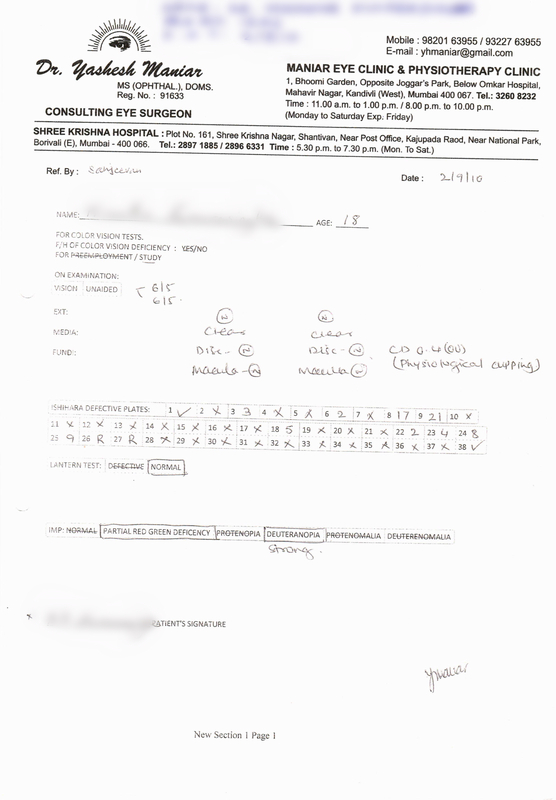 In 27 days I got my first normal report from “Sion hospital”. I am very happy today,my special thanks to Dr.K.K.Goyal, Dr.Suman Goyal,Aishwarya, Pratiksha, Sharmila mam & all of Sanjeevan Staff. I have won the 90% of the battle of my life to join Indian Army. 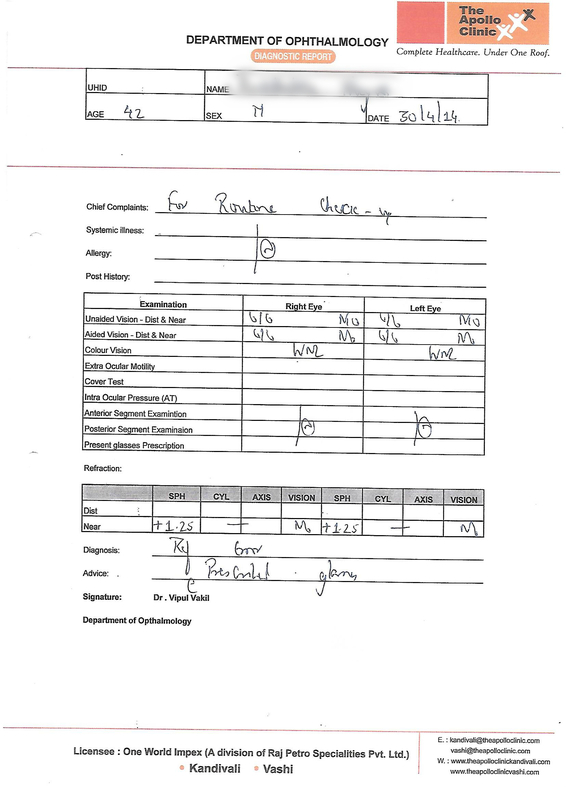 Once again I would like to thanks Sir,Mam & all of the staff of Sanjeevan. 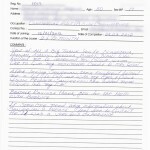 I hold an Australian Commercial Pilot License with command multi-engine instrument rating. Due to my colour blindness, I have restrictions on my license medical, which doesn’t allow me to do ATPL or fly after the end of day light. 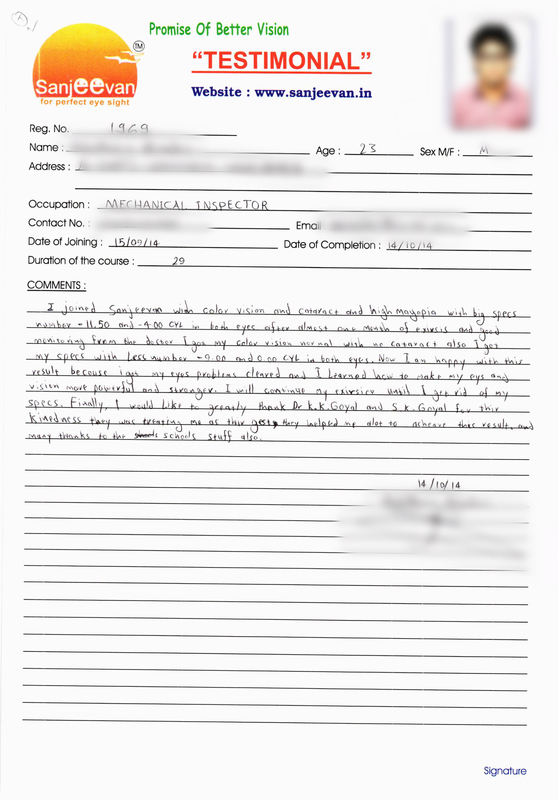 I had failed the Ishihara, Double light lantern, Single light lantern, CAD and many other colour vision testing systems before joining Sanjeevan. 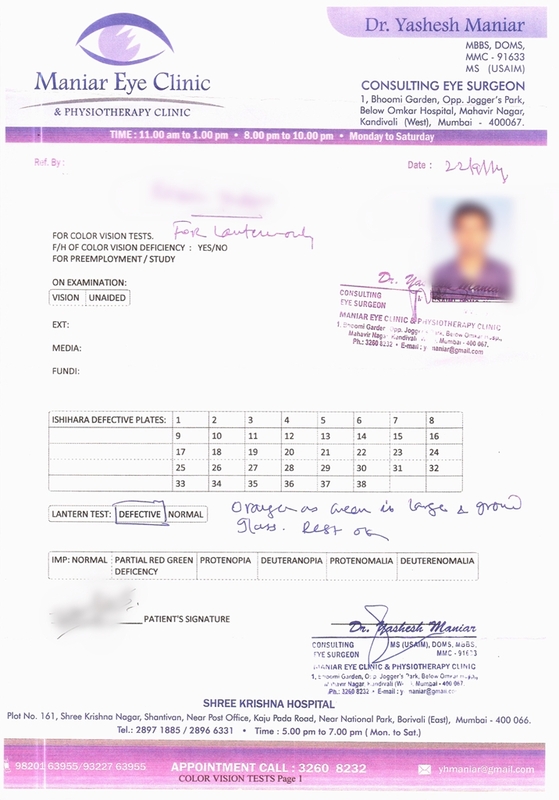 Thanks to Dr.Goyal and the amazing staffs at Sanjeevan, I have successfully passed the Ishihara, Lanterns and CAD etc. Now I have a very bright chances of getting all the restrictions removed and be a part of professional Airlines. Thank you once again to everyone at Sanjeevan. You guys have changed my life. “ You won’t get the correct colour, you won’t clear the 100 hue test,” told by a doctor. “ Is this colour this? Is this colour that? This colour looks like that”. In my heart always having confusion with many colours. These are all my thought and all I mostly went through after I discovered about my problems. I have known getting green- red colour deficiency doesn’t mean that you are only having problem with red and green . It means every colour with a mix of red or green, are getting wrong. So 70% to 80% of colour you see is wrong cause blue and yellow. We seldom use and see in the world. About the treatment at here, all the things that are carried out is in the form of nature. No medicine, no surgery, you are just practicing. Simple exercise and fun. Although this looks stupid and unconventional, but the result is there during the first day of the course. Actually, unbelieve and I do not know if there is any changes in my cone cells or not. Cone cell are the cells functioning in detecting certain range and different kinds of colour and all of them make 3 groups which are red, green and blue. Yeah, after 4 weeks I have improvement more but I still have to keep on. I had already cleared the D15, Desaturated D15, 100 hue test and even the numbers in the Indian Ishihara. That’s all and I have wished to have a full recovery in the future and I think I will. To all my brothers suffering from colour vision, without hiding anything I want to say that I use to have a difficulty in using colours from early days of my childhood and schooling. I use to fill “Red” colour on the trunk of the tree and my friend use to tell me “use brown not red”. 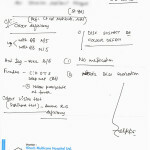 This problem was confirmed when I had my first colour vision test in the beginning of the year 2011. I tried to search for cure and was disappointed with the answer that “C.V. has no cure”. I could not read more than four plates of “Ishihara” that was a big problem. I came to know about Sanjeevan through internet with some doubts in mind and a little fear in heart of being cheated by someone, risking my academic career I came to Sanjeevan. Here we have so many exercise for eyes, where eyes are forced to do what they should do and they are provided what they want “maximum rest” I can now differentiate between colours and can see the Ishihara plates. 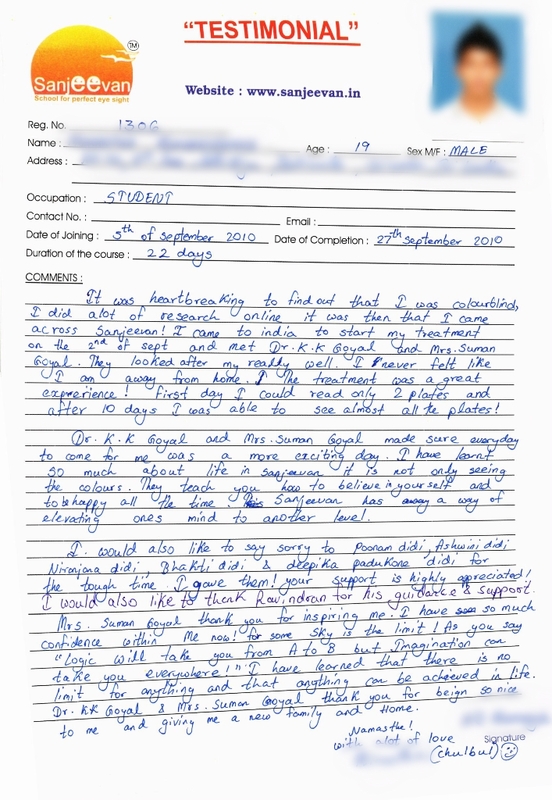 (my personal experience) due to efforts of sir and mam. Here I saw a nearly blind lady through these exercises with some therapy could now see few things and can recognize the people around her.To me it’s a miracle because she told me that other hospitals raised their hands in her treatment. 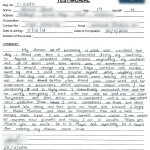 The staff is very supporting and helping, and personally attends each and every patient. Its like a family and I am glad now that I am a member. I will advise others to please come here and give it a try. It was during the final year of B.Sc. ‘Hans’ Geology. I came to know that I am a color blind when my HOD checked the whole class with Ishihara book. But as I grew older completed my M.Sc. and took admission in PhD, I was blessed to have cracked the prestigious geological survey of India (GSI) conducted by UPG, New Delhi. But then my dreams shattered when I was declared medically unfit on account of High order color deficiency by RML. It is only when I came to know about ‘Sanjeevan’ from one of my friend who also got treated from Sanjeevan. I came here on 24th June 2015 and my treatment started on 26th onwards. It was for my surprise that within the first two days I could read half of the Ishihara 38 plates. 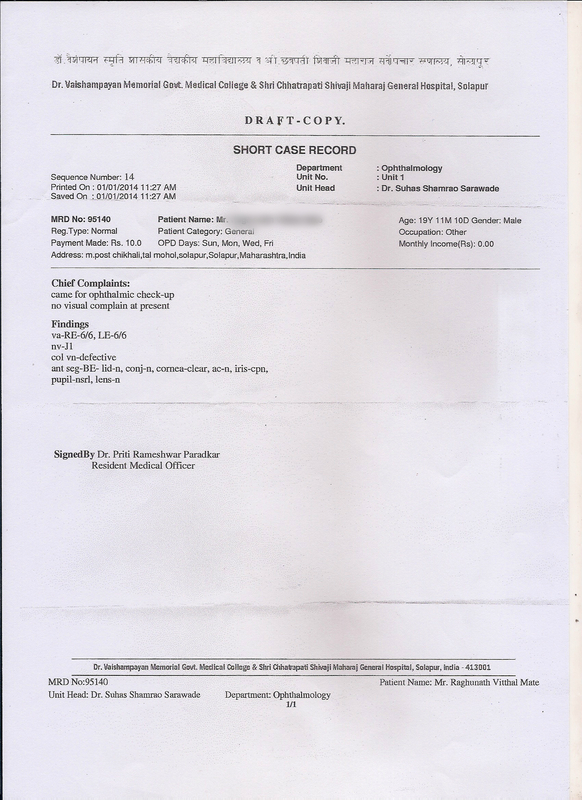 Within the first week I was declared fit by 4 different doctors. 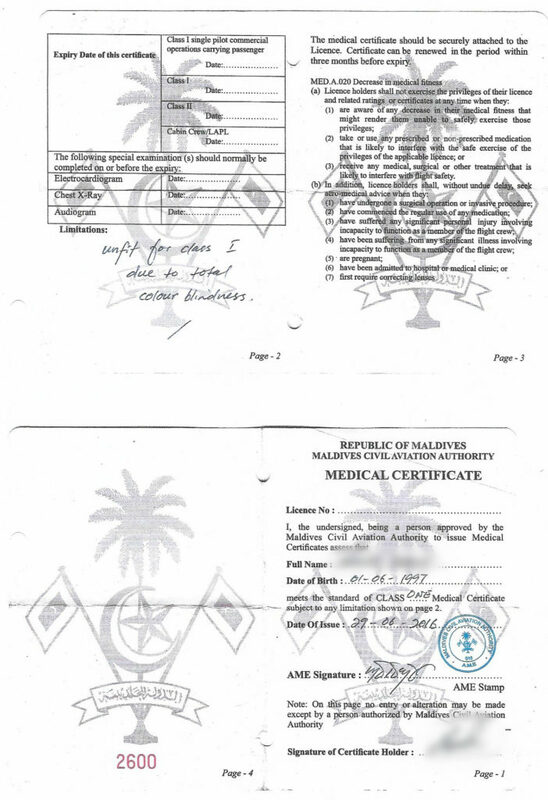 With the help of which I appeared for re- medical in the Ministry of Mines which they accepted. 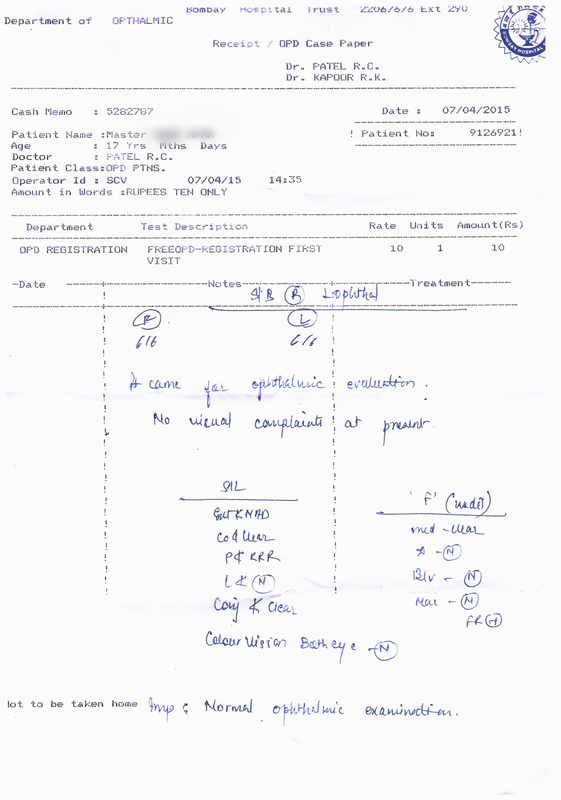 I am glad that my re- medical is on 10th of August 2015 which hopefully I will clear. Sanjeevan turned out to be a boon in my life and I got a ray of hope, when all the doors were closed for me. The staffs here are the second family to me. I felt like I am at home even though I don’t know anyone in Mumbai. From the Sincerity of Yash Bhai, Smiles and greetings of Sharmila ji , care and affection of Pramila di, Reshma ji small child like affection of Apeksha, Kalyani and especially Aishwarya filled the place of missing elder and younger sisters in my life. At last but not the least, Dr.Suman Goyal whose dedicated efforts and Parent like care and affection always encouraged and helped me to recover quick. Blessed to leave you people in my life.Special mention for the friends that I made over here especialy Surendra, Roshan, Deepak, Praveen pain. Will miss you all and hope to meet you people somewhere in my life Isha Allah. Thank you Sanjeevan for everything. Hello, I am Sunil from Navi Mumbai. Yes, it’s great feeling now that I don’t have colour vision deficiency problem. 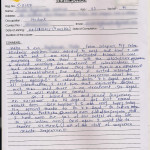 After struggling 2- 3 yrs, I got opportunity to work with Jet Airways. 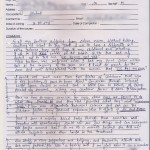 During this period I cleared my interview & got call for medical. 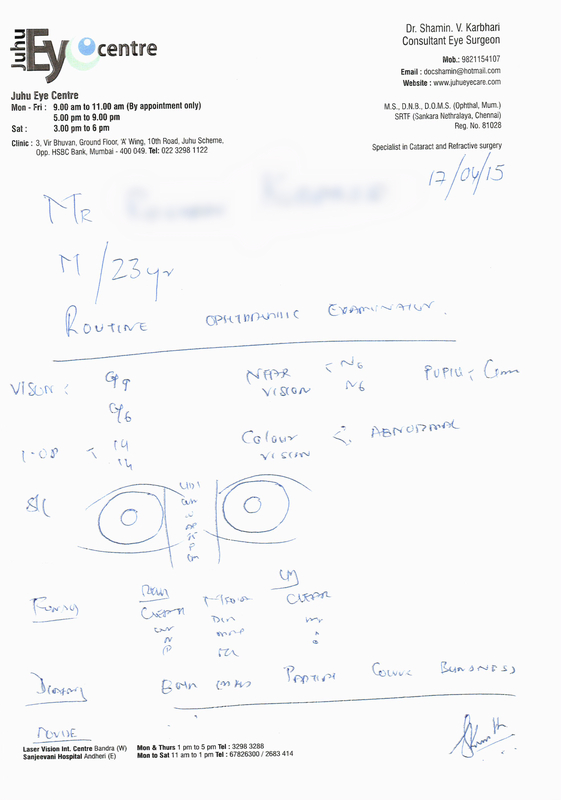 During medical only I came to know that I have color vision deficiency problem. 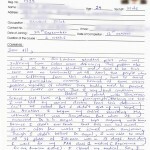 Due to this I got rejected from Jet Airways. Because of this, slowly I got de-motivated & frustrated with life. 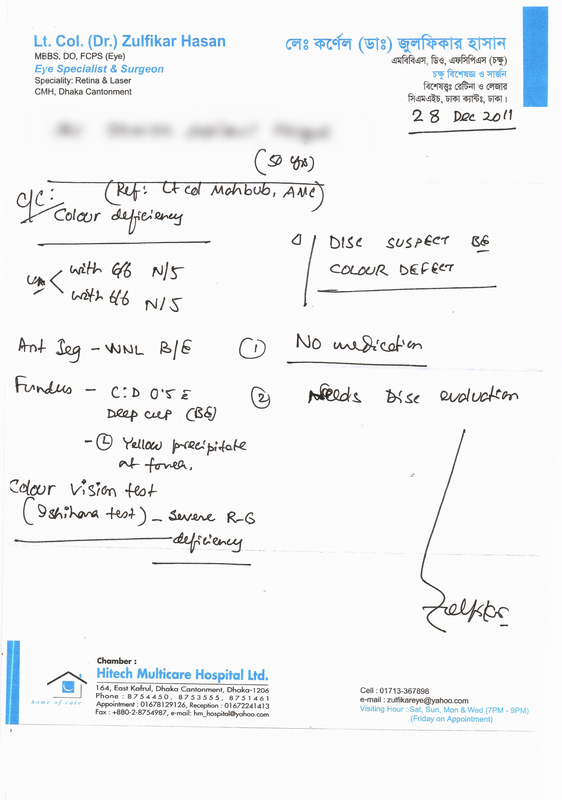 For this colour deficiency problem, I consulted with 2- 3 eye specialists & everyone sail its non- curable deficiency & they suggested me to change my field. After few days through one of my friend I came to know about SANJEEVAN. 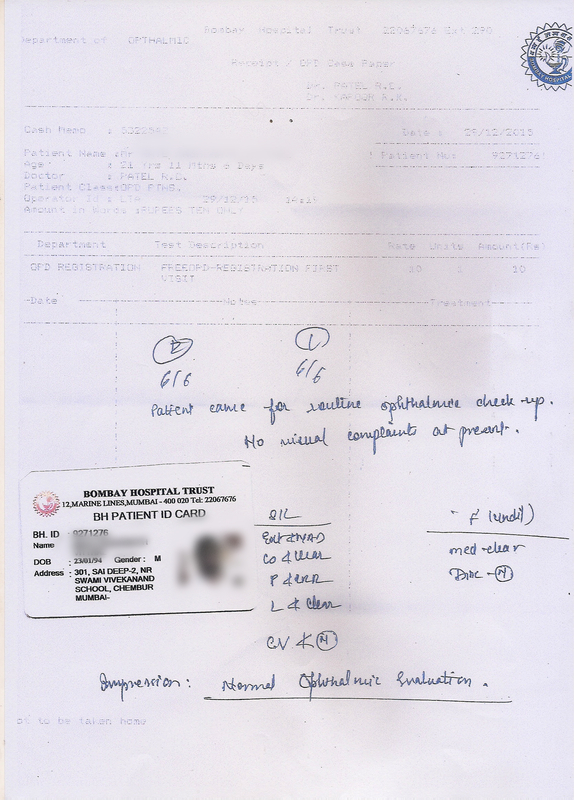 Next day I consulted Dr.Goyal it was the only last hope for me & on that risk I took admission for treatment. After first day treatment, I saw 30% improvement that was unbelievable. 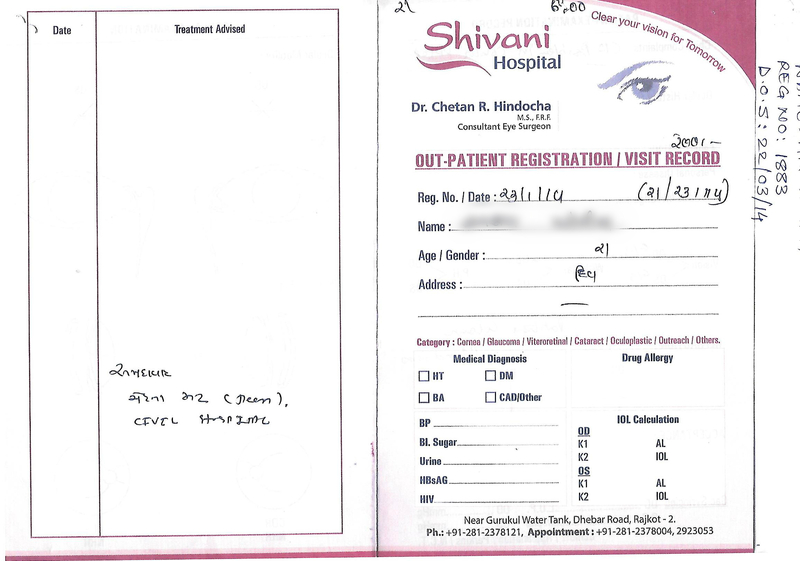 After almost around 40 days treatment I can read all ishihara plates and then Dr.Goyal mam suggested me to consult with outside eye specialists doctors like Sion & Nanavati hospitals. 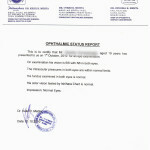 After consulting I got normal color vision reports. 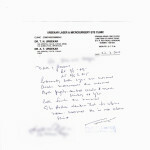 On the basis of this reports Dr. suggested me to apply for re-medical in Jet airways. I got chance for remedical & I had gone through Ishihara & Lantern test which was cleared. 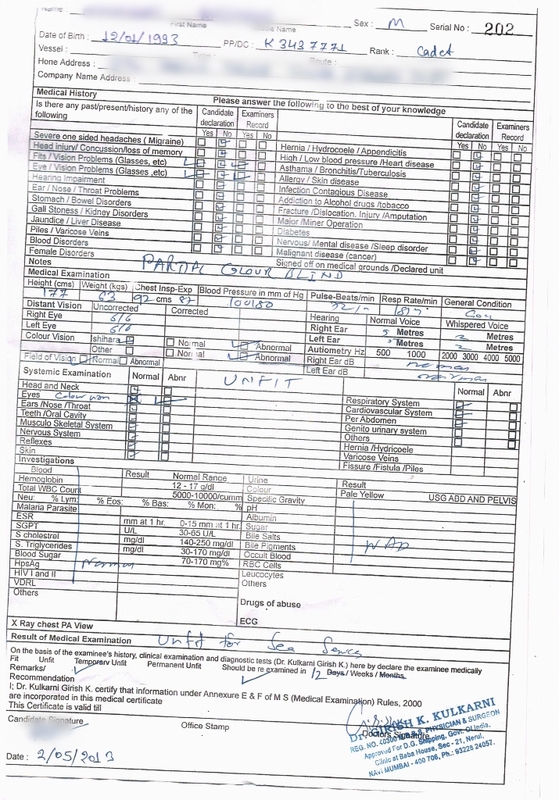 Jet airways medical panel accepted my reports & declared that I am fit for job and yes really it was the happiest day in my life. I would like to share one more exp of mine. Photography is my hobby. During photography I was unable to differentiate the shades of colour. And I never took this thing seriously. But after this treatment I started to know the difference between the shades of colour during photography. Seriously this 40- 50 days treatment period. 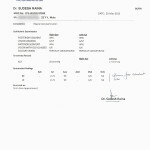 Doctors motivation ,my efforts & family supports are paid off. My special thanks to Dr. Mr. & Mrs. Goyal without their support & motivation it have not be possible to be a normal colour vision person. Last but not the least my thanks to Sanjeevan staff specially Aishwarya, Apeksha & Pramila di, who made my treatment easiest and always try to keep environment cool,happy & joyful really thank to them. Hi, myself Sachin Kumar I wanted to join merchant navy one day I went to an eye specialist for eye checkup. After checkup I knew that I am colour blind person. I was totally hopeless after knowing. I used to be disturbed but one day I went to Sanjeevan for perfect eyesight. 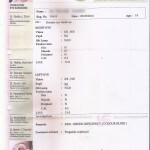 After that I went to Sanjeevan and started my treatment and after the treatment my colour vision was normal. All the staffs of Sanjeevan are very cooperative. They treated me well. 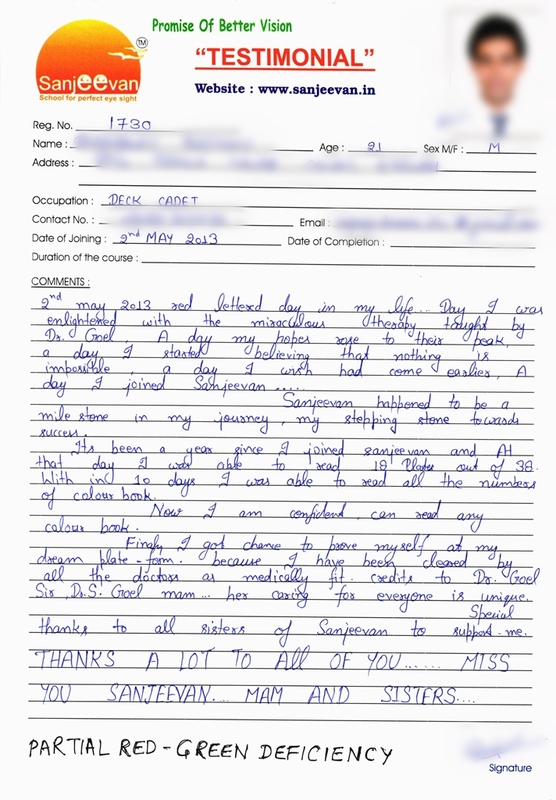 I am very happy to all of them and I woud like to thank Sanjeevan for perfect eyesight that has given me a new life. I will be thankful forever for this. Many people say that those persons who have colour blind would be able to see only black and white colours and every colours will appears as black and white. But it is not like that, I have colour blind it is known to me since 2009 when I was taking admission in engineering college, on that time I was completely frustrated, I had never heard about colour blind till that date. 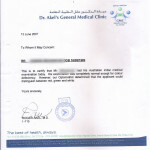 But after asking eye specialist, relatives, friends, seniors it was concluded that this disease does not have any cure. 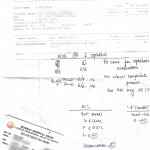 In 2012 one of my senior had told me about sanjeevan where its treatment is available. 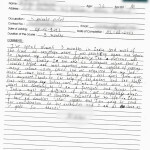 I had made confirmations through internet and reading testimonials of other old patients. Finally I got a ray of hope. After getting selected for Indian Railway as Sr.Section Engineer, I came here, now I am feeling highly self satisfied and happy that I can read almost all plates of ISHIHARA. I am highly thankful to Dr.Suman Goyal And Dr. K.K.Goyal and all the staffs of Sanjeevan without their contribution it was not possible. The day I was rejected in an interview on grounds of colour blindness made me open my eyes to look out for any possibilities to cure it. 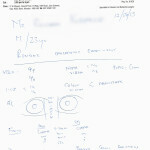 I was helpless when consulted with local eye clinic. 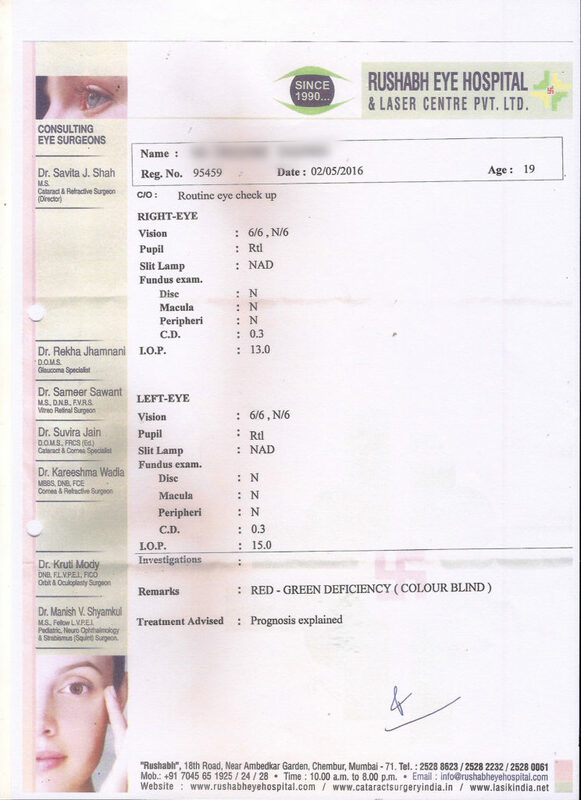 Then I came to know about Sanjeevan that they assure success in treating color blindness. 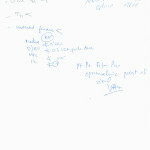 Initially I felt how could these kind of unconventional method would bring about a change in my colour vision. After a week I couldn’t believe my eyes. I was able to read the Ishihara plates for color blindness to a greater extent compared to the first day I got enrolled for the treatment. Now I do feel I am confident enough to get through medicals in any engineering industry. Sanjeevan i.e a place where color blindness is tested more comprehensively and treated to perfection. I would like to thank Dr.Goyal sir and Suman Goyal mam for cheering me at every instance I was with them. They made me realize I am getting better day by day. I would also like to thank all the staff members who assisted and helped me in all aspects to make me see and distinguish colors better. I am looking forward for a much greater change at the earliest. 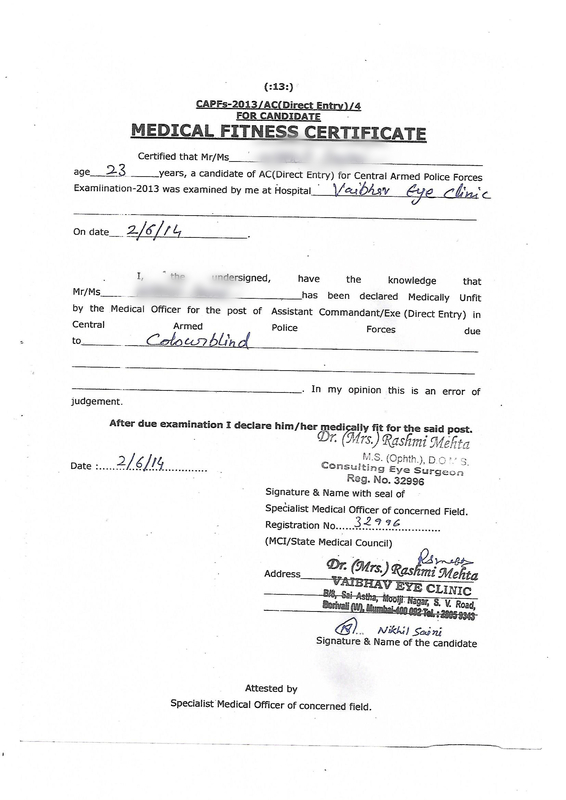 During my medical check up for Police services, I came to know about my colour blindness. I was deeply frustrated. Having consulted my family doctor, I found out that it is incurable. I was extremely disappointed with myself. 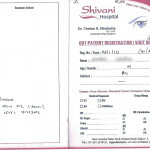 I was surfing on the internet and I came to know about “SANJEEVAN- FOR PERFECT EYESIGHT” . 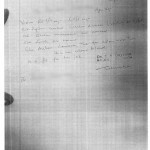 I consulted Dr.K.K.Goyal and he assured me that my problem could be solved. I came to Sanjeevan on 1st April and I could only rad 4 plates of Ishihara chart. After doing the eye exercise for continuous 2 weeks at Sanjeevan, I improved a lot. Now I can read all the plates of the Ishihara chart, The staff are very friendly and are ready to help whenever required. I would like to thank Dr.K.K.Goyal and Dr. Suman Goyal. 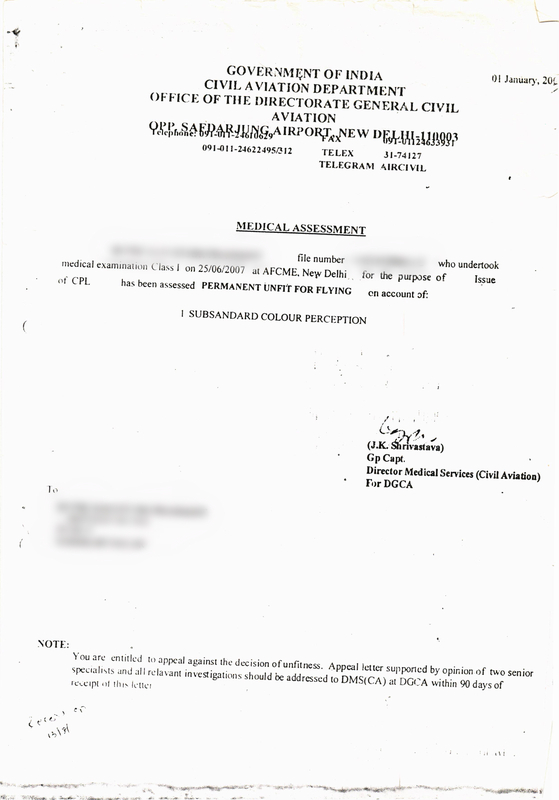 I got medical rejection from “Jet Airways” because of this colour blindness. I searched a lot about this problem, after that I got contact from internet about Sanjeevan, then I met Dr. K.K.Goyal & Suman mam. They gave me confidence. 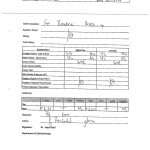 After the first day onwards I got improvement, Then I went to Bombay hospital and I got normal report. 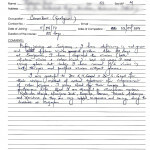 I am a Defense aspirant, I was feeling depressed when I came to know about my colour blindness problem. My family was also worried about this thing, then by a lot of searching on internet, I came to know about Sanjeevan. 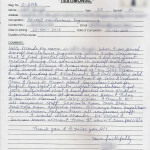 By talking to Dr. K.K.Goyal I was feeling confident that this can be cured. Then I immediately admitted myself in Sanjeevan without wasting my time. It took 4 weeks to cure. Thanks to “dedicated staff” of Sanjeevan and also Sir and Ma’am who made this possible. 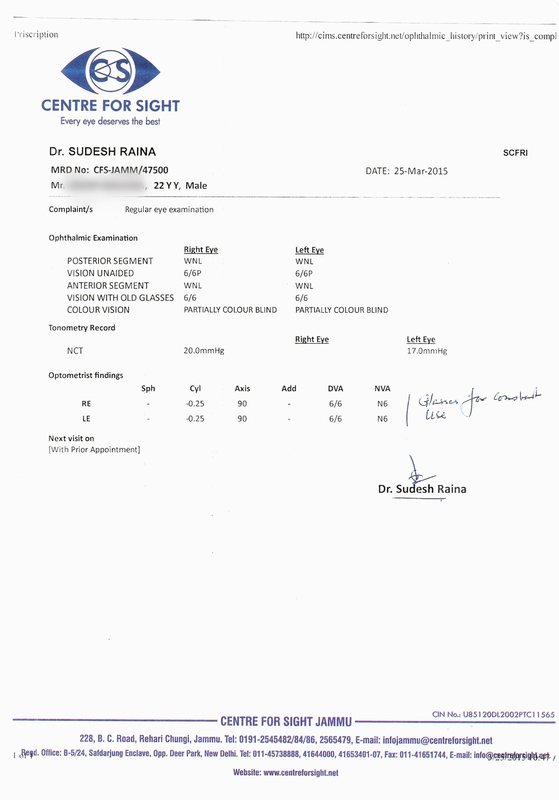 After 4 weeks I went to many other doctors for colour vision test they gave me normal report. Now I am confident about clearing my medicals. 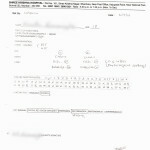 NDA Medicals- Finally the day came, But Alas! I was color blind. Rejected from the medicals and was feeling very helpless as every door was closed for me. Then came the ray of hope- Sanjeevan. It was a wonderful experience getting treatment at Sanjeevan and the main credit goes to Suman Mam for all the time that she gave from her busy schedule with patience and gave me the right direction. 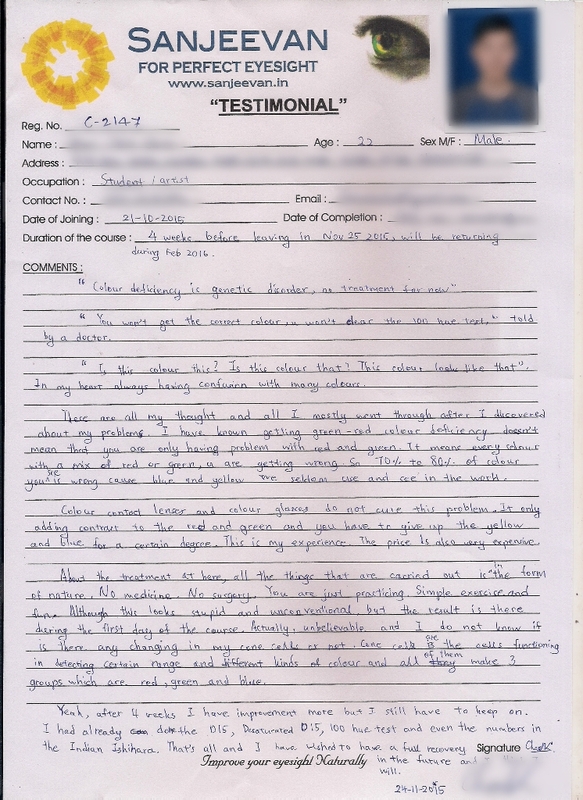 The staff over here is very cooperative and specially Aishwarya (Captain) gave full support at the time of therapy. 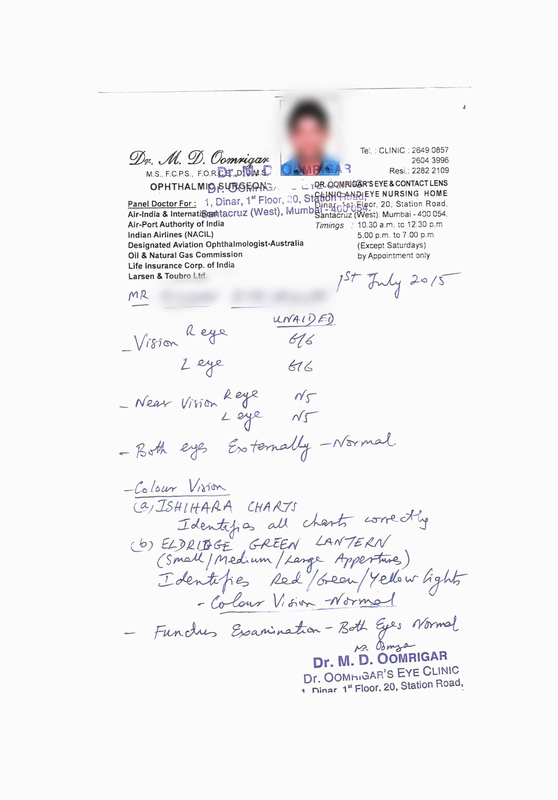 I have collected reports of Normal color vision from Bombay Hospital ad Dr. Oomrigar. Now I am going for my final medicals with the hope that I will get through my medicals. Being an Indian its my humble duty to think for my country first and to do something for the welfare. From my childhood I decided to join Indian army. 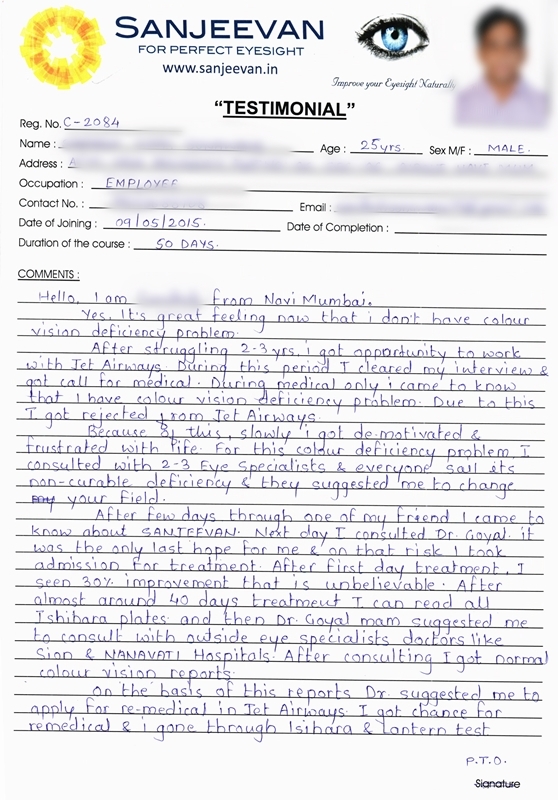 I was keenly preparing for interviews but when I came to know that I am colorblind and the doctor adviced me to change my field but I decided to end my life rather than changing my field. I was searching everywhere if there is any cure for color blindness. Then I got to know about Sanjeevan through internet without wasting a single second I made a call to the doctor. I came here and got checked by Dr.Suman mam and she told me to have patience, she boosted me to carry on the natural exercise . First day I could only read 2 plates after daily doing the exercise regularly i could feel the difference and I can say that I am cure now. 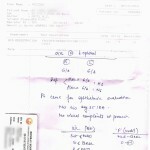 My hearty thanks to Dr.Suman and Dr.K.K.Goyal and the Staff without all of them it would’nt be possible. ONE THING FOR ALL COLOR BLINDNESS PEOPLE, COME OVER HERE AND HAVE PATIENCE AND I BET U’LL FEEL THE DIFFERENCE. I joined Sanjeevan with colour vision and cataract and high Myopia with big specs no. 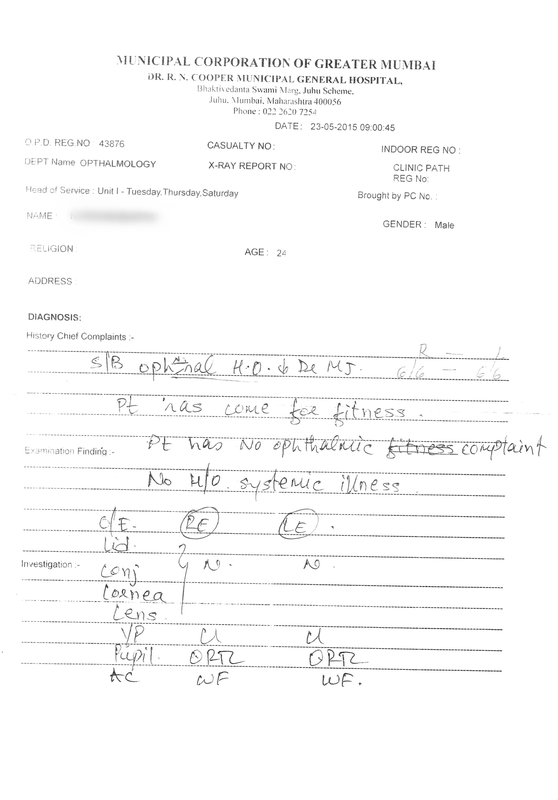 -11.50 and -4.00 cyl in both eyes after almost one month of exercise and good monitoring from doctor I got my color vision normal with no cataract also I got my specs with less no.-9.00 and 0.00 cyl in both eyes . Now I am happy with this result because I got my eyes problems cleared and I learned have to make my eye and vision more powerful and stronger. I will continue my exercise until I get rid of my specs. Finally, I would like to greatly thanks Dr.K.K.Goyal & Dr. Suman Goyal for their kindness. They were treating me as their guest, they helped me a lot to achieve the result and thanks to the staff. After doing 4 yrs of B.tech in mechanical, I came to know that I am colour blind, Because no company allows a colour deficiency person to work in a core sector. 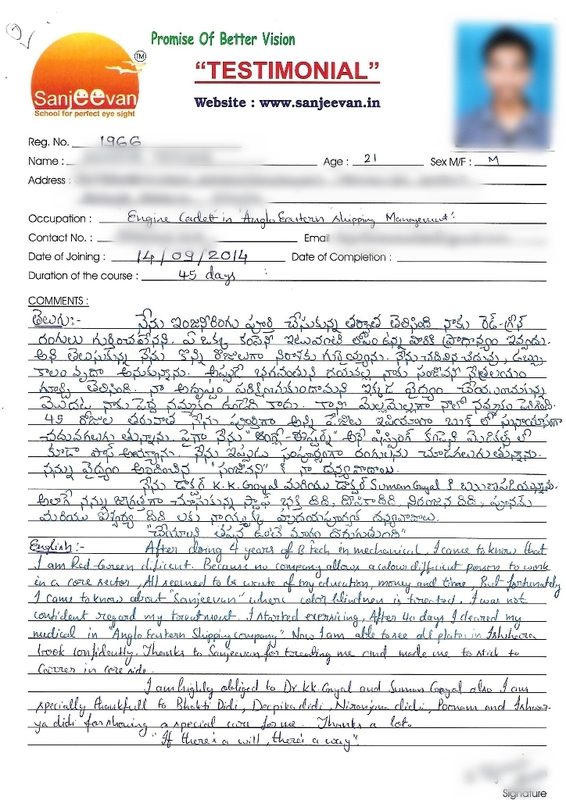 I came to know about ‘Sanjeevan” where colour blind is treated.I was not confident regarding the treatment.I started exercising , After 40 days I cleared my medical. Now I am able to see all plates of Ishihara book confidently.Thanks to Sanjeevan for treating me and made me to stick to career in Core side. I am highly obliged to Dr. K. K. Goyal and Dr. Suman Goyal and also the staff. Thanks a lot. 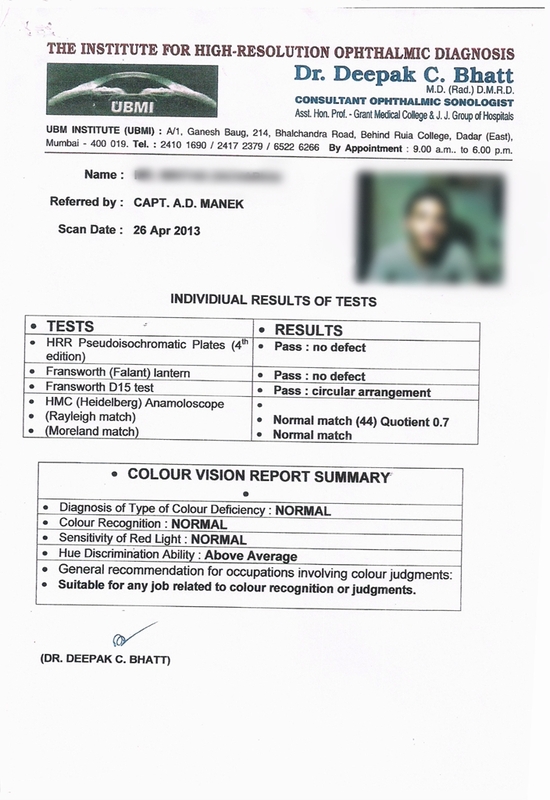 I had been rejected in my medical due to colour vision and after the treatment they made me worthy enough to pass the colour vision test. 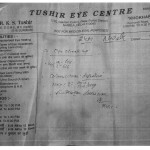 This treatment relieves one’s eye and as well as brain. It had been a nice experience. 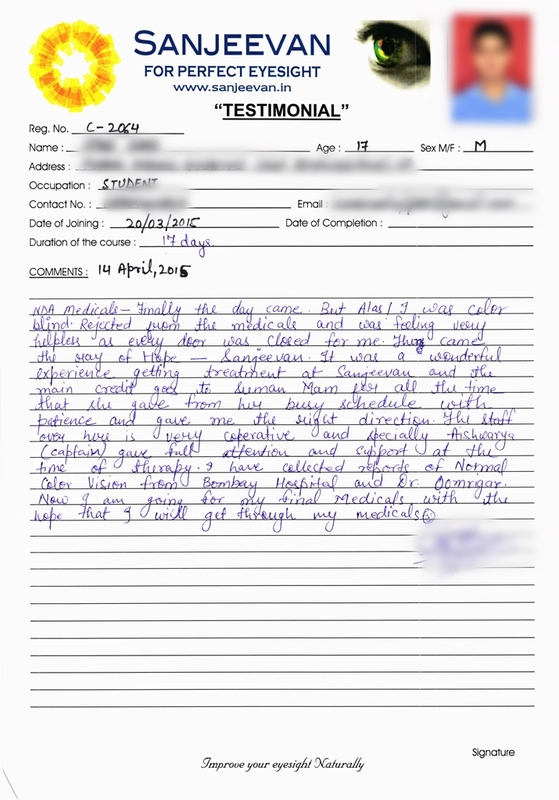 I would like to thank ma’am for giving me so much time for check ups and I am thankful to all the staffs of Sanjeevan. Colour Blindness is Non- curable” fed up with this statement .. I realized my colour vision deficiency in 2010, the beginning of my career. It was a huge draw back to my career. Colour blindness being Non- curable, I neglected many of the opportunities that I deserved. Few months back I came to know of colour blindness treatment at Sanjeevan through social media & my friends, Even I thought it may be a rumour, but I decided to take a chance and consult Dr. K. K. Goyal. After joining Sanjeevan I could read all the plates of Ishihara test. 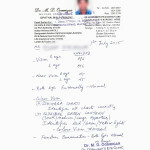 I am thankful to Dr. K. K. Goyal Dr. Suman Goyal and the staff. 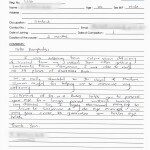 Now after the treatment I am confident & looking for further more opportunities to blossom in my career. I have no words to express my feelings, at this moment. I am extremely happy and overwhelmed with this drastic improvement in color vision. From the bottom of the heart, I thank Dr. K.K.Goyal and Dr.Suman Goyal for their co operation and pain which they have taken for me. Once again I appeal to all those who are color blind to visit the Sanjeevan once and get their problem solved 100% . I was hopeless when I came to know about my colour blindness. As I am from Mechanical Engineering, my whole future depends upon medical involving colour blindness. Then somehow I came to know about Sanjeevan. I joined it and in very few days I was able to read Ishihara plates clearly. Also my colour vision improved very much. The ambience of Sanjeevan is great and all the staff members are very supportive,my special thanks to them. Thanks to Sir and Ma’am for helping me to build my future. Initially, on joining the course I was a bit concerned about the method being used for color vision at sanjeevan, as the internet is filled up with websites saying that this defect is incurable. However the eye exercises and eye drops proved beneficial. All credit goes to Dr.K.K.Goyal & Dr.Suman Goyal for their dedicated efforts and benevolent attitude of the Sanjeevan staff. 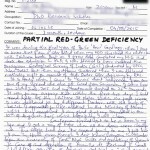 Before joining Sanjeevan, I had deficiency in red – green and distance vision problem. After 22 days at Sanjeevan, I have improved my vision ( both distance vision & color vision). For the past 22 years I was using specs but today I have normal 6/6 vision in both the eyes and perfect vision without specs. 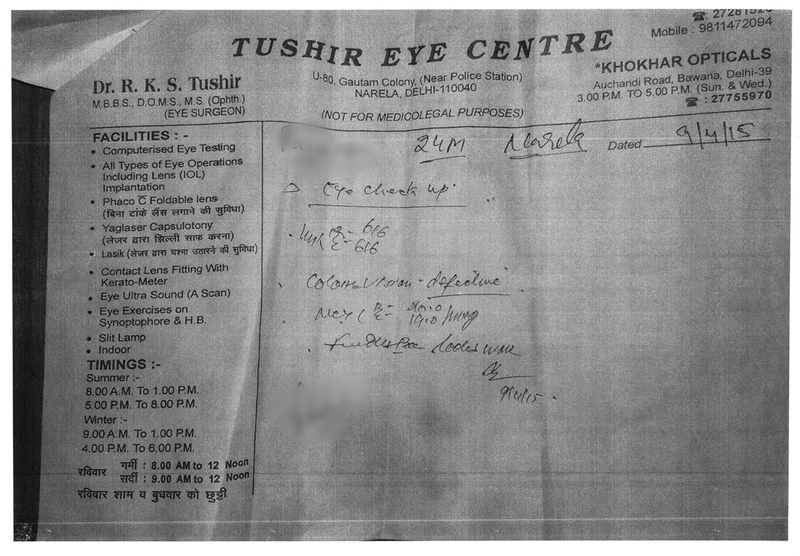 I am grateful to Dr. K.K.Goyal & Dr. Suman Goyal for their unique method of NATURAL TREATMENT for improving the Color Vision. I am thankful to the members of Sanjeevan Staff as they were co-operative and caring during the treatment at Sanjeevan. 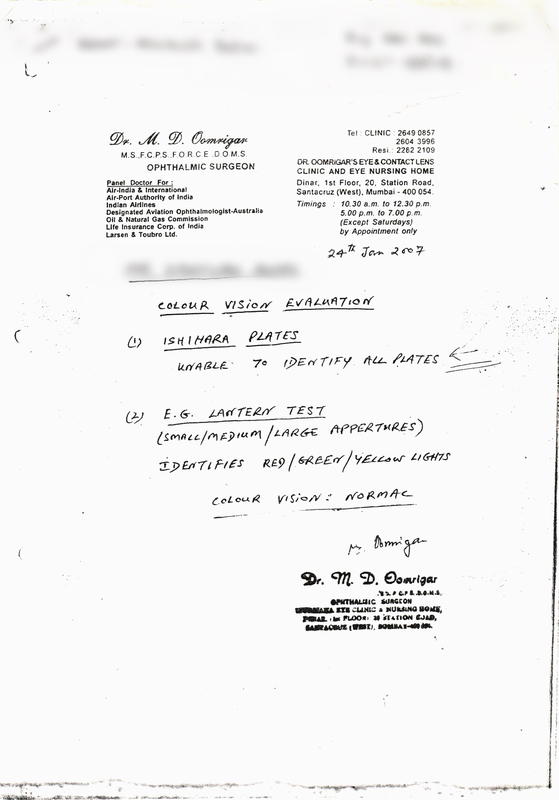 First of all I would like to thanks Dr. K.K.Goyal and Dr. Suman Goyal and the Staff of Sanjeevan who helped me throughout the problem of Color Vision. 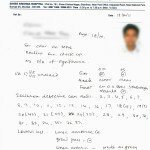 My eye sight has improved by the exercises which were recommended to me by Dr. K.K.Goyal & Dr. Suman Goyal. 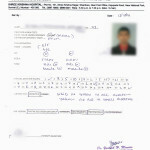 I have been selected in Merchant Navy training by Marine Institute. I went for medical test and I got normal report from the Marine Institute.I am very Happy and can’t express my feelings in writing so….. I am Mr. Patelia Akshay Jentilal. Thanks to sanjeevan, I had been selected in Shipping management.First I was able to see only 2 to 3 plates & Now I can see all the 38 plates. 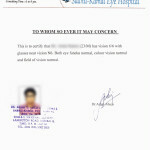 I had gone to Well known hospitals to collect my report of color vision & there I was declared Normal. After completing my treatment in Sanjeevan, I went for my medical and there I was able to read the color vision book. Special thanks to Dr. K.K.Goyal & Dr. Suman Goyal for guiding me, and all the Staff members were good. 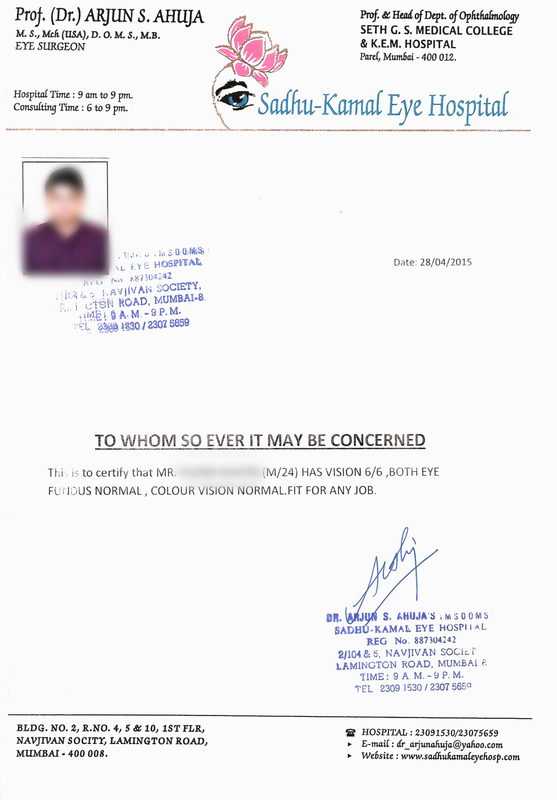 On 24/5/15 I got selected in the same company in which first I was rejected for my color blindness. Now I am ready to sail. 2nd may 2013 red lettered day in my life ..Day I was enlightened with miraculous therapy taught by Dr.Goyal,A day my hopes rose to their peak, A day I started believing that nothing is impossible, A day I wished I had come earlier, A day I joined Sanjeevan..
Sanjeevan happened to be milestone in my journey, my stepping stone towards success. Its been a year since I joined Sanjeevan and at that day I was able to read 18 plates out of 38 in Ishihara book. Within 10 days I was able to read all the numbers of colour book. Now I am confident, can read any colour book. Finally I got chance to prove myself at my dream platform because I have been clear by all the doctors as medically fit. Special thanks to all sisters of Sanjeevan to support me. THANKS A LOT TO ALL OF YOU…….MISS YOU SANJEEVAN,MAM…. AND SISTERS….. Finally got selected in one of the Top 10 Merchant Navy Company .I am feeling great and very thankful to Sanjeevan .I cleared my medicals in two company. 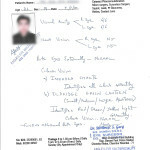 I didn’t face any kind of problems during my company medicals specially in COLOUR VISION. So I am feeling great and I am ready to sail and explore my colorful world. I don’t have enough words to express or explain my feelings for DrK.K.Goyal and DrSumanGoyal and also thankful to all the staff members like “ANGLES” who are selected by God for doing such kind of miracle job or magic.. I think I was absent whenever god was adding/distributing different colors to our eyes in the classroom. Thank you so much & love you all thanks a lot. First of all my thanks to Dr.K.K.Goyal and Suman madam and my friends and family who lead me here to Sanjeevan. Initially I can able to read some plates and day by day my vision was imporved.Its really good to be here and do the exercises its feels like home here and thanks to every staff in Sanjeevan.They really took care of me. After a month I got cleared in renowned hospital that day was the happiest moment in my life.Once again I am thanking everyone in Sanjeevan family. it’s really a great experience here.WithoutDr.Goyal Sir and Madam this could never be happened.Thank you very much Sir and Madam. I was a student at “T S CHANAKYA”. After I completed my first year I had to go onboard training of merchant navy. 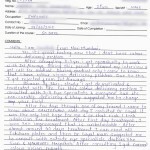 When I went to my company medicals I failed. There then only I came to know about colour blindness. After that I wnt to my college doctor and he told me about sanjeevan and then I searched n google and I came here for treatment. After 16 days of my treatment I went for my first eye check up in renowned hospital and I was certified ‘PASS ’ over there with in these 36 days I got 4 certificates from different hospitals. 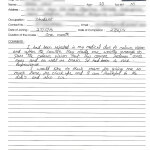 And then I reappeared for my company medicals where I was rejected, I cleared my medicals successfully over there. He send me to another doctor for assurance and I cleared my medicals there also, so I am finally selected back to the company.Now I am very happy. Thanks to my parents and Dr.S.Goyal and DR.K.K.Goyal for letting me my dream come true and I would like to thank staff members of sanjeevan. I’ve spent almost 3 months in india and most of the time at Sanjeevan where I was practicing again and again to improve my color vision deficiency. The outcome was positive and finally I am able distinguish colours that I couldn’t before and most important now I am capable of passing many color vision tests that are required for my job. When I came here I was failing every test apart from one. Not anymore thanks to the help of the doctors and the staff that was everyday taking care of me.I found also help, apart the treatment , as I am a foreigner and things in india might get difficult if you are completely alone. So everyone here at sanjeevan ensured for my life in india. For consideration to the authorities and I am as close as it gets so thanks! 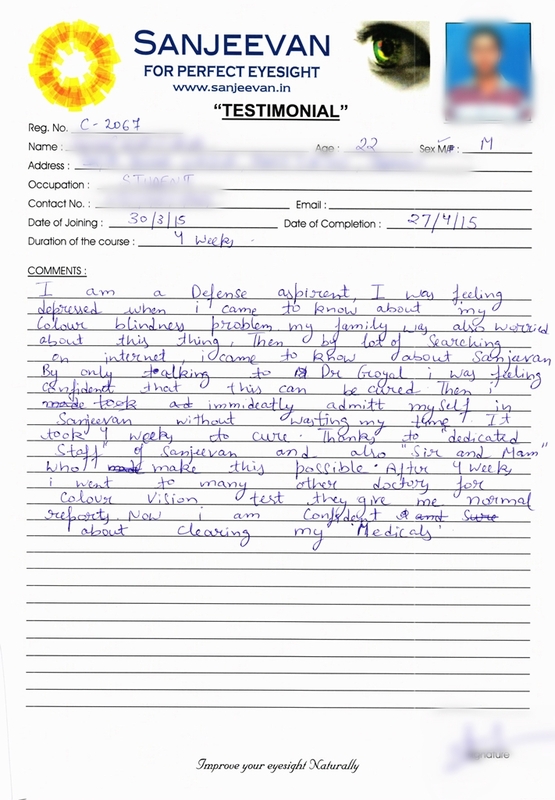 I joined Sanjeevan to improve my colour vision problem I was rejected in my class II medical exams for the commercial pilot license on colour perception bases. I was very frustrated when I came to know that I am color blind I went to many doctors to treat my problem and this problem cannot be solved finally a friend of mine told me about Sanjeevan. I joined and after a week I started experience that I was hardly able to read 20 out of 38 plates but after some exercises I could read all of the 38 plates within a month. 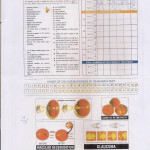 I went for the class I medical exams and I was tested nearly 7 times for the color vision. 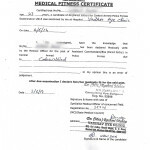 Finally I was declared fit. 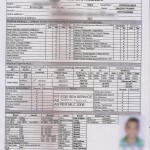 Thanks to Sanjeevan because of which today I have got the license to fly. They really have the medicine for all kinds of eye problems. 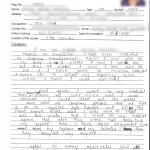 First, I would like to thank Sanjeevan family showing me the world in a new color.During my early age of 18,I plan to join marine engineering.At medical check up the doctor told me that I am partial color blind and I am not able to join in marine, Defence service, Railways.So I kept off my plan of joining marine & joined mechanical . Now I am welding engineer with a thought that there is no need of color vision test.But for doing higher studies in my field I should clear the vision test with color vision test. 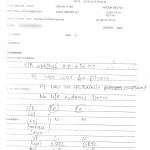 During 2012 May I found Sanjeevan through internet,who is treating almost all sort of eye sight problems in natural ways. After my first day treatment, I got hope that sooner I am going to read all plates in ishihiarachart.Now today, almost after 20 days, I can read all plates and I got a medical report from big hospital which states that normal vision & color vision is normal. Once again I thank Sanjeevan family. If you are thinking that colour blindness has no treatment than think again, Sanjeevan is your place. 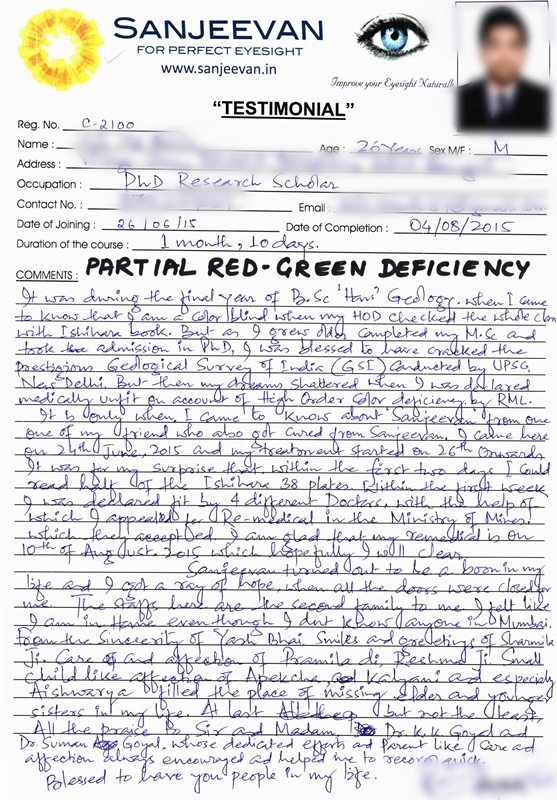 I had this disease of Red-Green Deficiency I was in tension about this thing because its related to my profession of merchant navy. There is no entry for a person who is colour blindness then I came to know about sanjeevan through my friend through my friend to whom I will give full credit of introducing Sanjeevan to me, On the first day first here, I was able to read hardly 2 plates of ishihara book after only one day exercise I had read 14 plates. 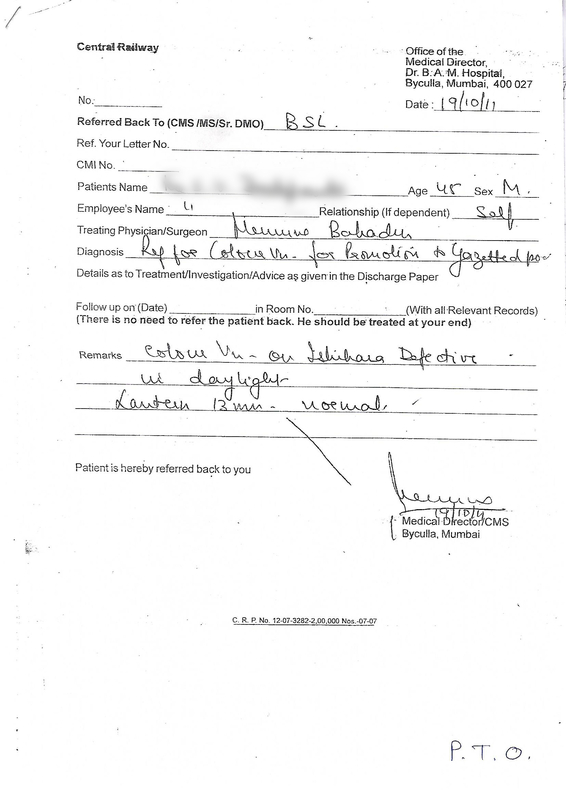 I was so happy although I had belief that I will get well soon here sooner or later but unexpectedly I recovered in about 3 weeks or so I was reading almost all plates of isihiara and finaly I haved cleared my company medical and that too with great confidence all because of great effort of “K.K.Goyal Sir” & “S. Goyal Mam” and full staff of sanjeevan , all the staff of sanjeevan thanks to all.they have given confidence and get well soon. I had found out about my color blindness in class 9th and it shattered my dream of joining the army. After 7 years, in my friend in my first year of engineering, I found out about sanjeevan through a friend and I saw a ray of hope. I come here and almost instantly, I could start feeling the difference. In just 3 weeks , I am able to read almost all the ishihira charts. I also cleared the anomaloscope test without ever a single mistake. Now, thanks to sanjeevan& the effort of Mr&MrsGoyal, I will be able to pursue my dream. A big thank you. 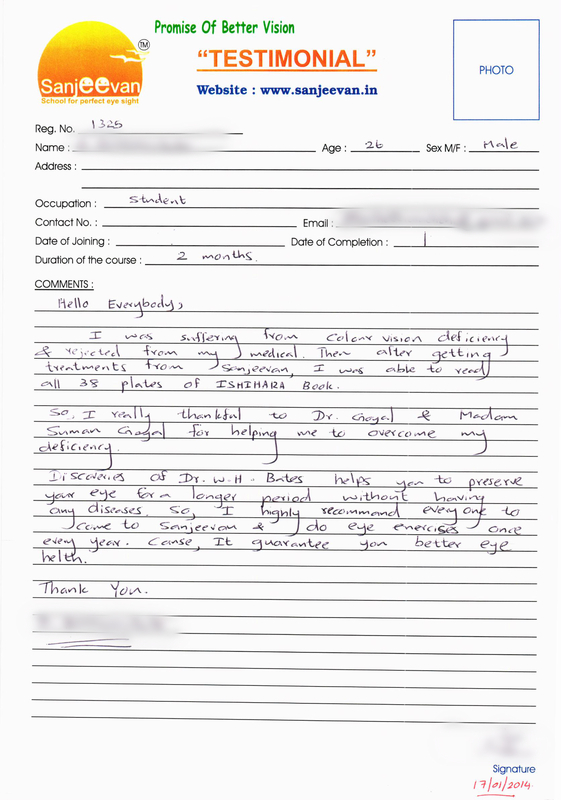 First of all a big thanks to staff of sanjeevan who helped me to improve my colour vision. I would like to give my maximum credit to MrsGoyal. 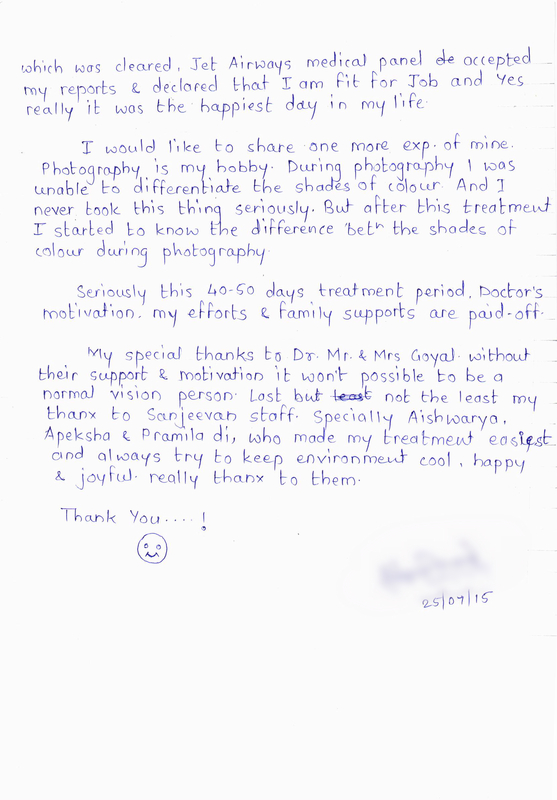 After joining sanjeevan their treatment helped me a lot to cop up with my eyes & color vision problem Sanjeevan has added more colours into my life. I had come to know about my”Color deficiency” for the past two years. I just made a gamble when I had my school medical on 2009, then luckily a miraculously passed by talking it out with them. I knew that this was a sign of hope for me. I have been to many doctors and ophthalmologist but every one of them told me that there was no treatment for “colorblindness”. They asked me to change my career, for them it was too easy to say it, but for me it was hard because that’s my dream to become pilot. 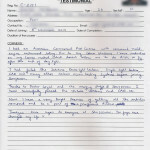 I have a passion for flying that’s why in the last few years I tried and search if there was any treatment for my ”C.B”. I even reached to a point of changing my career, and then one day my father asked me to go India and go to this so-called placeSanjeevanschool for perfect eyesight. I immediately agreed and came here during summer break. At first I had doubts if they can really cure my color deficiency. On the first day I could read 7 plates, then after 1 round of exercise I could now already read 15 plates. By this time I was still not convinced but I just really did my best and put my faith to both Dr.K.K.Goyal and Dr.SumanGoyal together with all of the staff and after 15 days I can read all of the 38 Plates. My experience here was so great I’ve met different kinds of people, gained friends and many more. I’m very thankful to Dr.K.K.Goyal,Dr.SumanGoyal and all the staff because they all treated me so nicely, they took care of me as if I’m their son. Their work is truly marvelous, they have given me the opportunity to pursue my Dreams and Ambitions’,I won’t forget the experience of my stay here in India. Once again thank you and God Bless. I have been selected in MECHANT NAVY training by Marine Institute which was my aim/Goal. So which I have reached. Now I AM A NORMAL PERSON not a colorblind person. 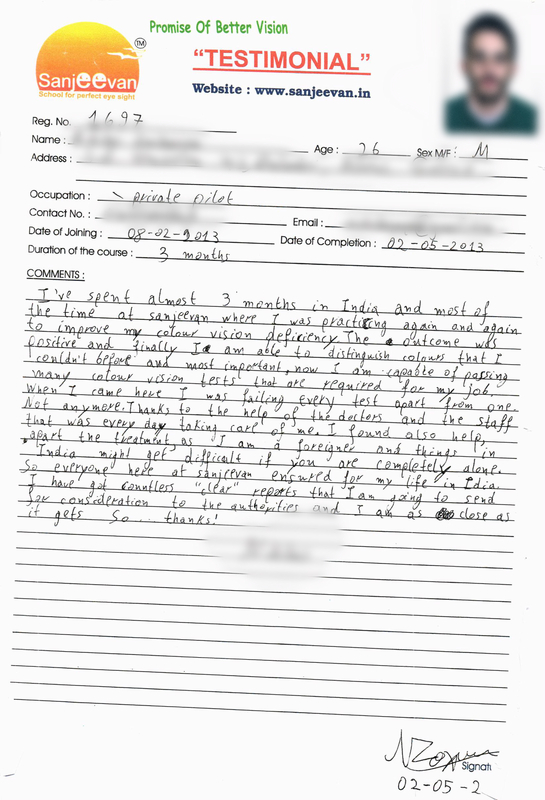 I got medically fit report from Marine Institute which I had applied .I am very happy and can’t express my feelings in writing So……..
Hi, I am a trainee pilot who suffered from the colordeficiency, when I came to know that I am color blind, I was depressed so much whenever I got into my aircraft, I thought that I will not be able to fly as an airline pilot onsome day as I suffer from this problem. So, on those days I used to fly with a doubt in my mind. I came to know about Sanjeevan from one of my friend and I came here.I did exercise regularly & now I am almost right. I can read almost all the numbers of Ishihara. Now I am almost free. so, I believe that now I can fly the aircraft without any hesitation in my mind, regarding my future. Here, I would like to especially mention Dr.Goyal& Madam SumanGoyal who treated ma as their son & all the staff members as well. 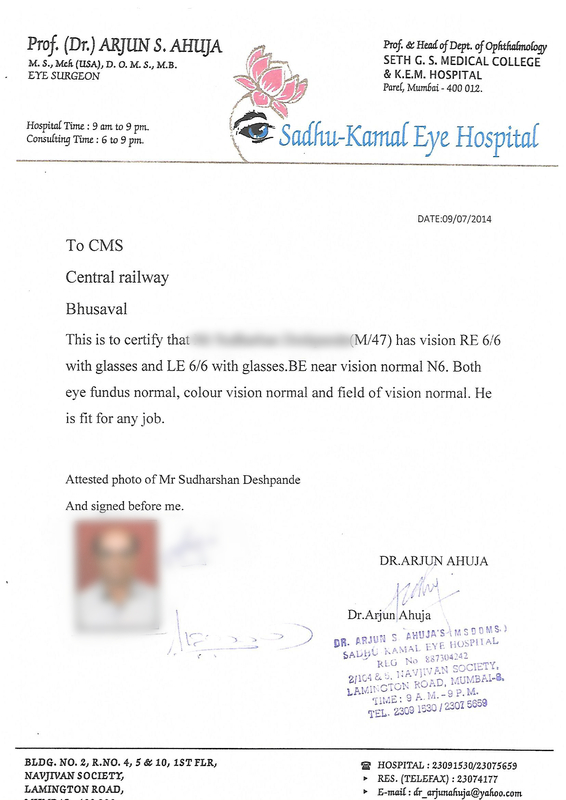 Drgoyal is a person who makes impossible things possible in this world because according to all other doctor’s opinion, colour deficiency cant be treated but for Dr.Goyal & Madam Suman Goyal color deficiency is the one of the normal problem as other problems which can occur in human eye. I learned a good lesson from Dr. Goyal& madam Suman which says that nothing is impossible in this world. It was heartbreaking to find out that I was colourblind. I did a lot of research online it was then that I came across sanjeevan, I came to india to start my treatment on the 2nd sept and met Dr.K.KGoyal and Mrs sumanGoyal.they looked after my really well. I never felt like I am away from home. The treatment was a great experience! First day I could read only 2 plates and after 10 days I was able to see almost all plates. Dr.K.K.Goyal and MrsSumanGoyal made sure everyday to come for me was a more exciting day. I have learnt to come so much about life in sanjeevan it is not only seeing the colours. They teach you how to believe in yourself and to be happy all the time. Sanjeevan has a way of elevating once mind to another level. 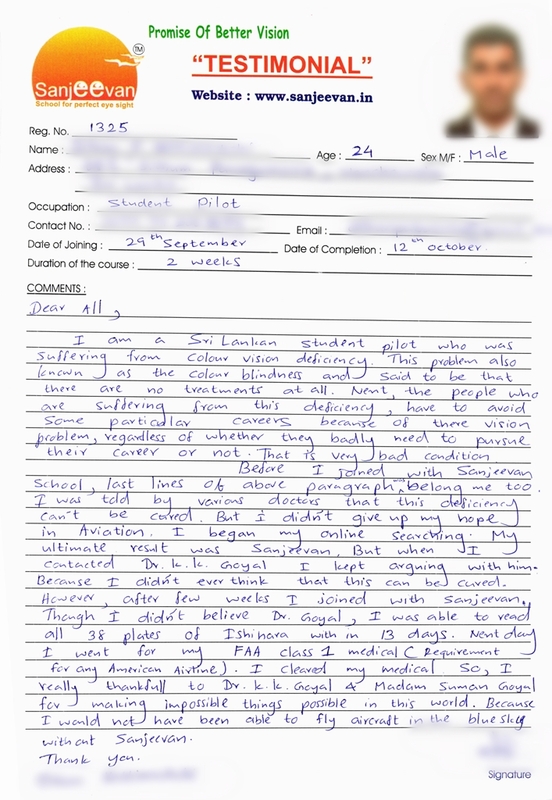 I joined Sanjeevan School to improve my colour vision problem I was rejected in my class II medical exams for the commercial pilot license on colour perception bases. I was very frustrated when I came to know that I am color blind I went to many doctors to treat my problem and this problem cannot be solved finally a friend of mine told me about this school. I joined this school and after a week I started experience school I was hardly able to read 20 out of 38 plates but after some exercises I could read all of the 38 plates within a month. Thanks to this school because of which today I have got the license to fly. This school really has the medicine for all kinds of eye problems. 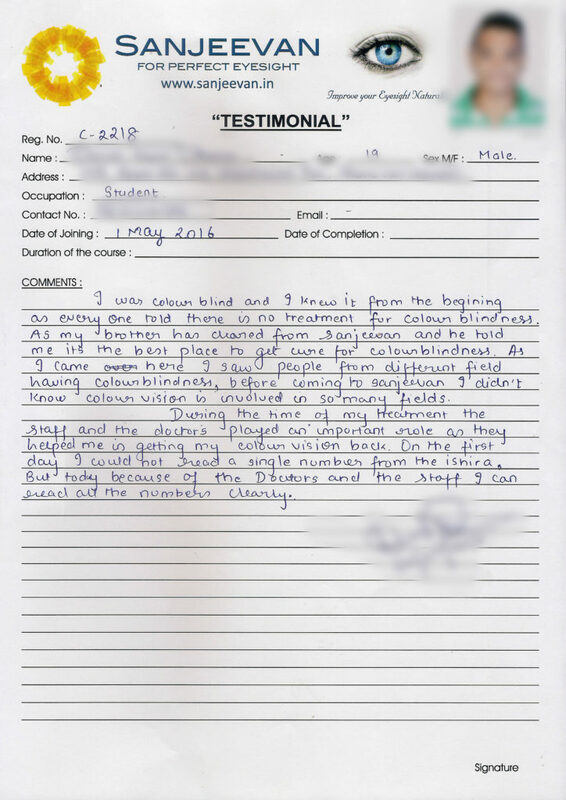 One year before when I came to know that I am colour blind I was very disappointed and dejected .My aim is to get into an oil based core engineering firm and for every such firm related to my field colour blindness is a disqualification. I was preparing since last 3 years for that exam and was completely shattered to know about my color blindness.I searched on internet and then I came across sanjeevan. I talked on cell phone with DR.Goyal and he assured me that colour vision will become normal and I do not need to worry about it . I was so soso relaxed by hearing these words and then I again focused on my studies for the exam that I had to give.When I came here I was only able to read 2-3 plates properly but just after doing exercises for 1.5 hrs,I read 14 plates ! I was reading ishiharaplatesand laughing in mind that how could this be possible in just few hrs. I continued my exercise and now after 20 -25 days of exercise I am able to read all Ishihara plates. Dr.K.kGoyal&Dr.S.Goyal were encouraging and protective all the time. Thanks to all staff of sanjeevan all were friendly and took care of me like their young brother. I will be always thankful to sanjeevan for whatever it gave me.Stayblessed ! During my Course of aircraft engineering, I came to know that I am colour blind & got frustrated and depressed. Then started search for its treatment & could not find it, Many doctors said, there is no proper treatment for it. 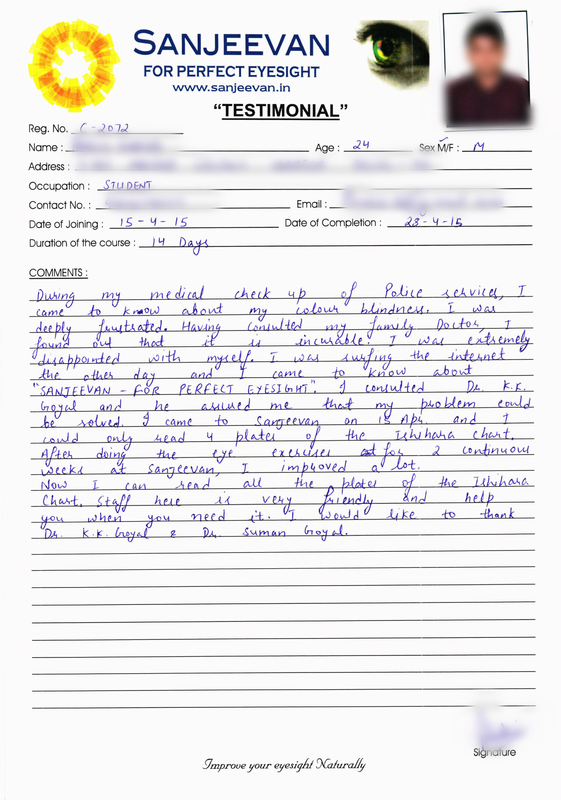 After searching on internet I came to know about Sanjeevan, it was like boon to me. After consulting here for first time in Sanjeevan. 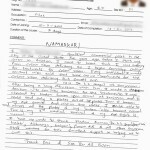 Dr. Suman said I will improve fast that gave me confidence in myself. First day of treatment, after 1 hour of eye exercise Dr. Suman checked Ishihara & I could read all plates that I could not even see before. It was like magic for me. They are saviour of my life. Now I am colour vision normal person. Words cannot describe my feelings completely and there are not enough words to say. 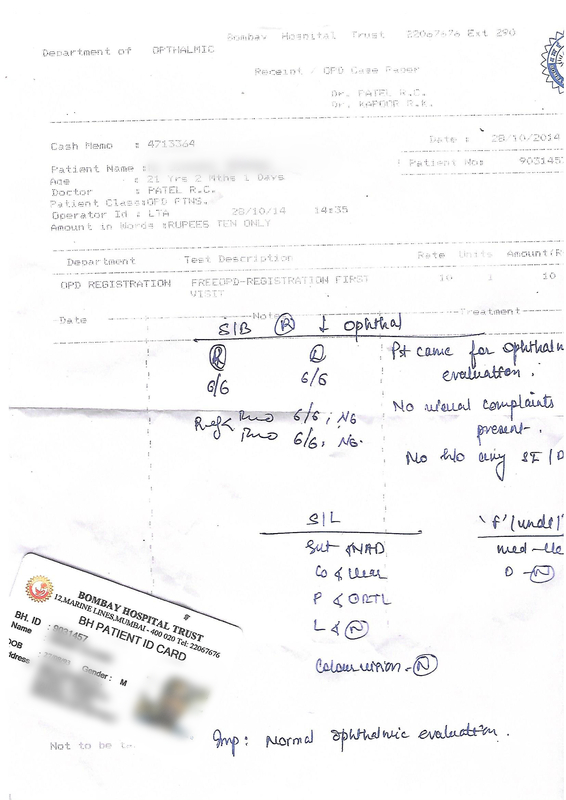 How much I am thankful to Dr. K.K.Goyal & Dr. Suman and all the staff members for the miracle happened in my life. I came to Mumbai for Merchant Navy training. 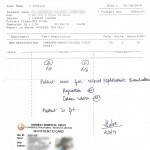 In lokhandwala my medical test for Merchant Navy was done, that time I came to know about my colour vision problem and Doctor told me that there is no treatment for this. I could not understand what to do but I had patience. One day I came to know about Sanjeevan an school where colour blindness treatment is done. Then I Joined Sanjeevan that time I could read only 3 plates from Ishihara but now I can read all plates of Ishihara normally. Whole credit goes to Dr. Goyal & Mrs. S. Goyal who treated me like their son. Staff also helped me a lot. 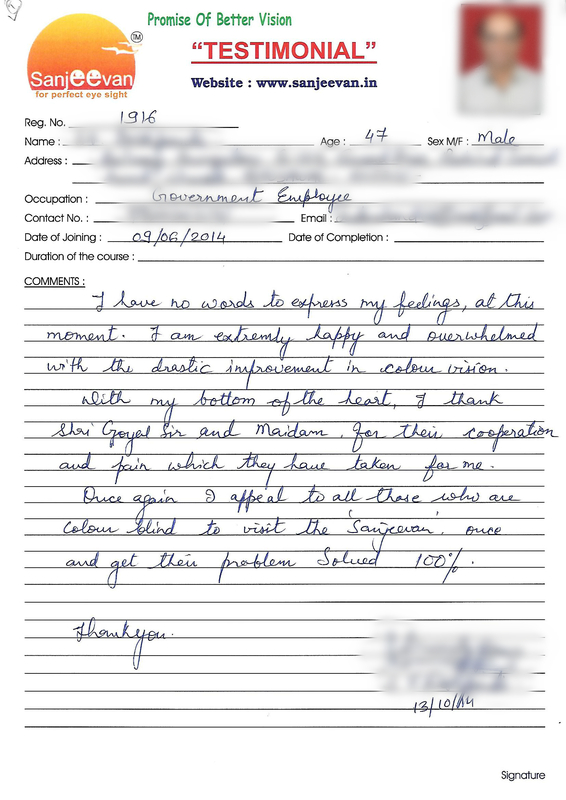 Taking All the pains to get a secured job, I came to know that I am colour blind. Me and my family was very frustrated as there is no treatment in the world. Then I came to know about Sanjeevan and it proved to be a “SANJEEVAN” for me. After doing one set of the exercise, I improved a lot. Previously my eyes no. was -1.25, now it is -0.5. Thanks to Dr. K.K.Goyal and Suman Goyal for giving me this wonderful opportunity to believe in ourself. Thanks to all staff members as they treat me as their family members. Sanjeevan has given me a secret key to be successful in life i.e. self believness. Again thanks to everyone who are part of this miracle. 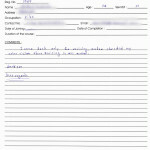 I applied for DTC driver post. 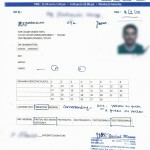 I cleared written and driving test. But after medical exam, I came to know that I am colourblind. I consulted many doctors but all said there is no treatment. Then I searched on internet & I came to know about Sanjeevan. After joining & doing one set of exercise, I could read 17 plates, earlier was just two. Within 20 days I could read all plates without any hesitation. 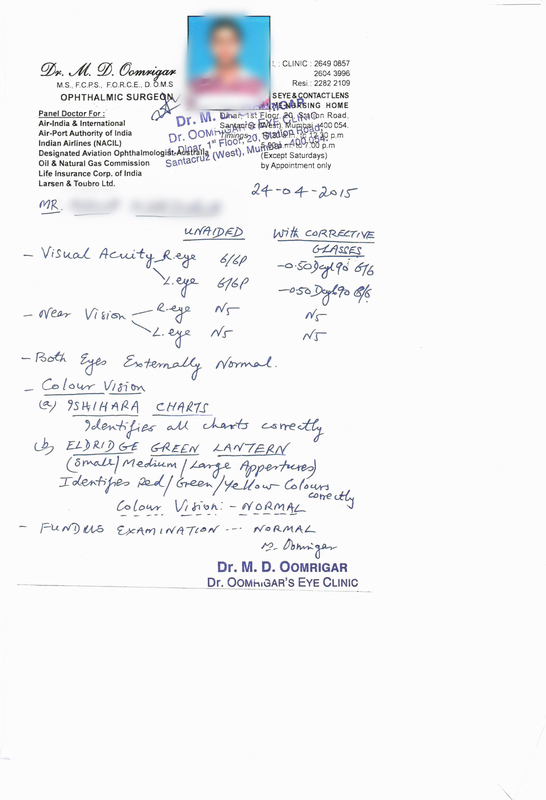 Thanks to Dr. K.K.Goyal & Suman Goyal and all staff members who supported me to improve my colour vision. When I Joined “Chennai” School of Ship Management, that time, I did not know about colorblindness. 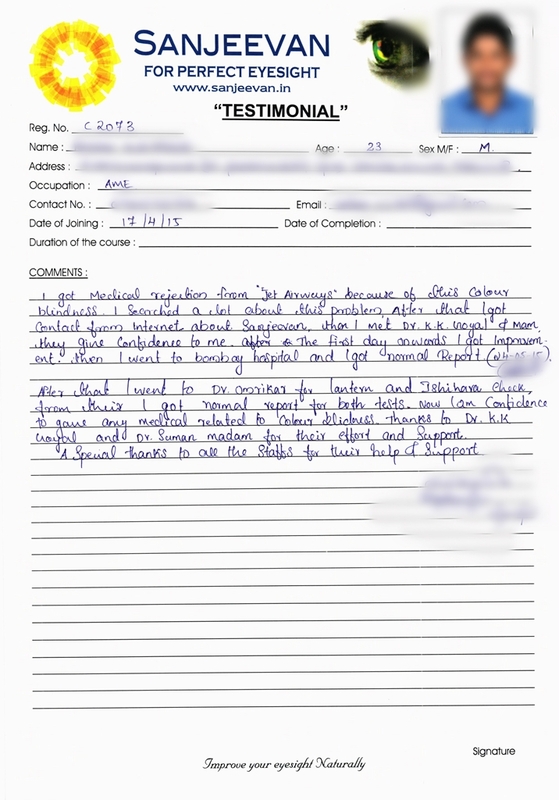 After I completed my first year, I had to go on board training of merchant navy. 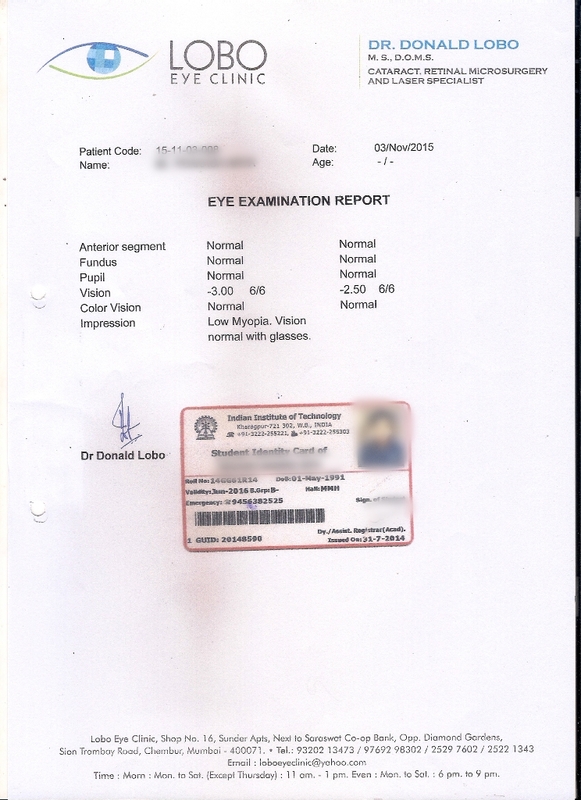 When I went for medical check that time I came to know about my colorblindness and was rejected. I got frustrated. 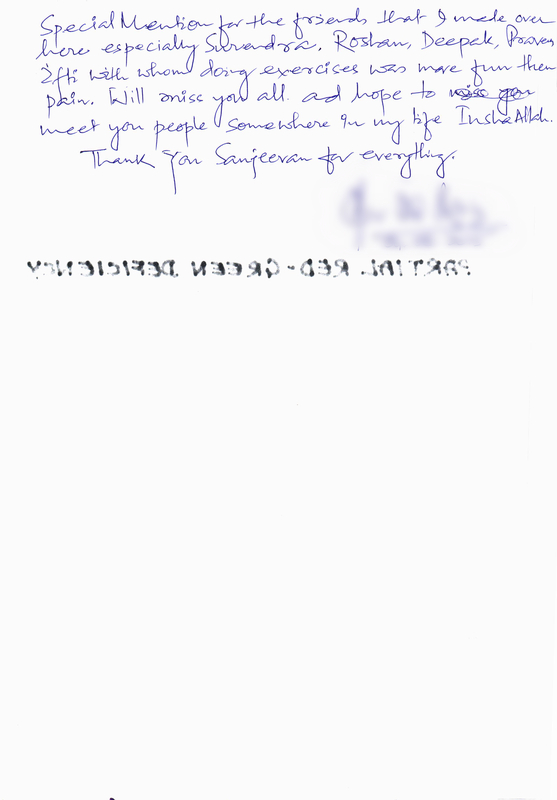 Then my sir, Mr. G. Sreenivasan told me about SANJEEVAN. I became very happy. After consulting here for first time in SANJEEVAN. Dr. Goyal said that you will improve fast and after first exercise I could read 5 to 6 plates of Ishihara earlier I could read only 2 Plates. After one month now I can read all plates easily. Its possible only because of efforts of Sanjeevan. I would like to humbly thanks to Dr. K.K. & Suman Goyal & all staff members who supported me like a family member. 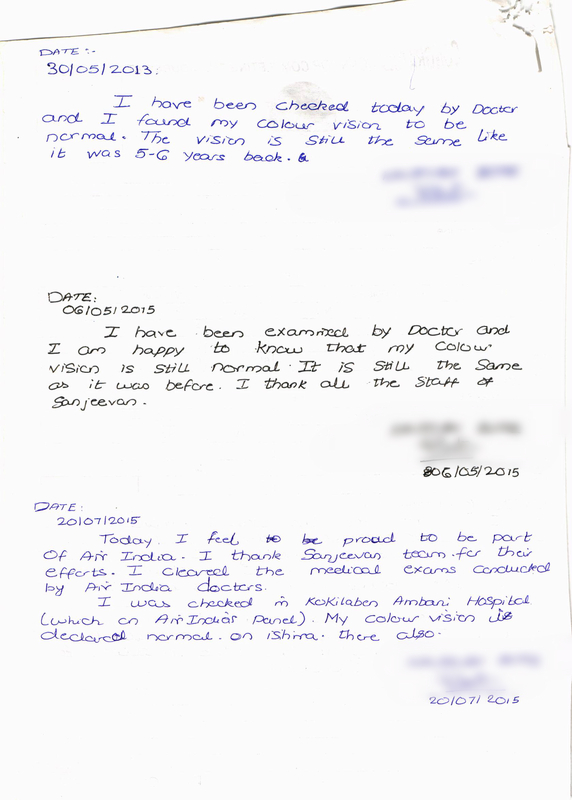 I am very much thankful to “Sanjeevan School for Perfect Eyesight” for clearing my problem of colour blindness. 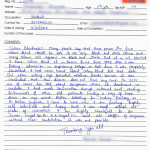 I was extremely very disappointed when it was rejected in my company medicals. That was the worst day in my life. The other day when I was surfing the net I came across Sanjeevan School for Perfect Eyesight. It was like a hope of success, but I was like will it treat my problem. The next day itself I came here for the consultation and was able to read only 8 plates out of 38. When I checked again after doing same exercises. I was able to read 30 plates. And that was just amazing. A famous writer has said and I quote “Every failure of a person is a step towards his own success”. And the entire credit of my success goes to Dr. K. K. Goyal, Suman Goyal and the entire staff of sanjeevan without their kind support and dedication it wouldn’t be possible. 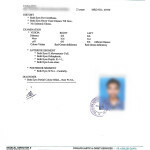 After completing my intermediate I got selected in merchant navy and there I cleared my written exams and interviews then after I gone through my medicals there doctor rejected me saying that I have colour blindness and it cannot be treated then while searching in the internet I came to know about Sanjeevan School then I talk with my parents and they also supported me to join here then I came here and Dr. K. K. Goyal and S. Goyal tested me and they told me that my colour blindness can be treated that time I was able to read only 4 plates of ishihara book but after undergoing 2 months treatment now I can read became normal. 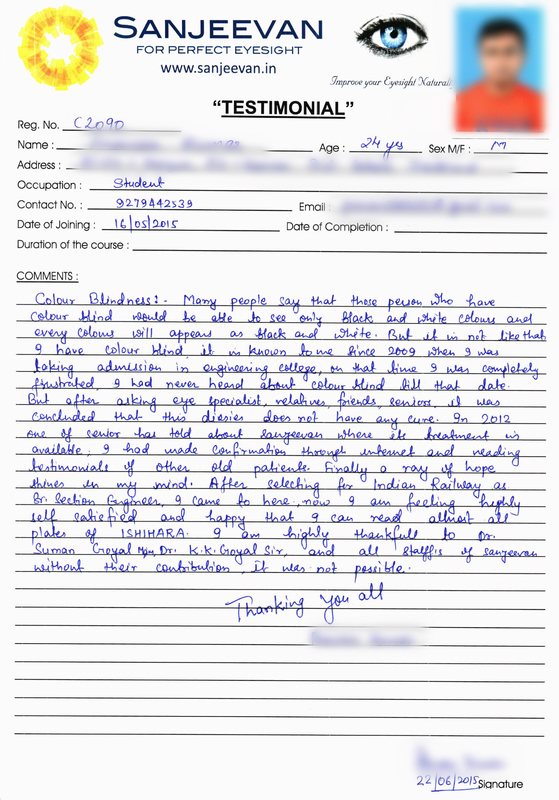 I would like to thank Dr. K. K. Goyal & S. Goyal for always encouraging me and giving me confidence that I can improve my colour blindness and also their is a major role of Sanjeevan staff in curing my colour blindness the way they pay individual attention to everybody and they explain each and every exercise is really appreciable. 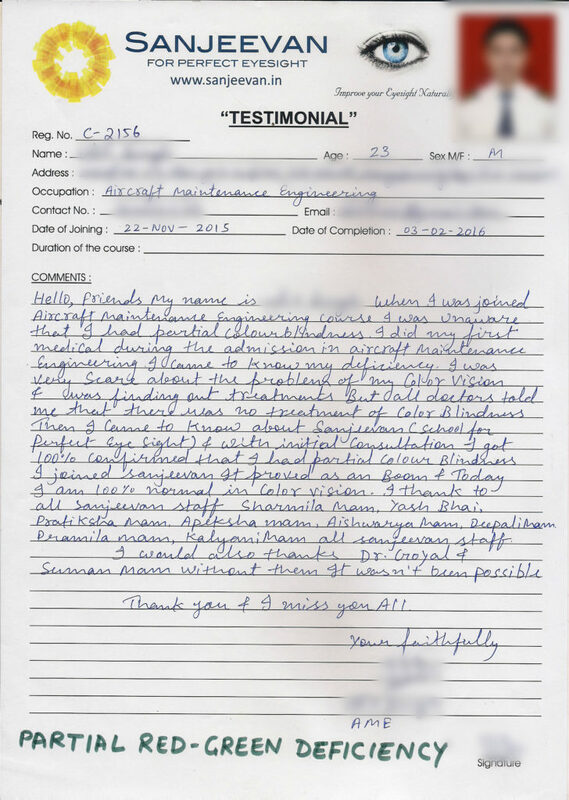 Thus I would like to conclude by saying my sincere thanks to Dr. K. K. Goyal and all the Sanjeevan staff for supporting me and improving my colour blindness. Oh… that day was the biggest suspense day of my whole life period when I came to know that in colour blind. Just one step away from my goal, in fact my goal was achieved i.e. 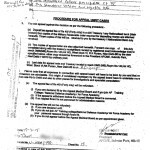 going in defence forces, but due to a genetic eye problem. I was thoughtless. 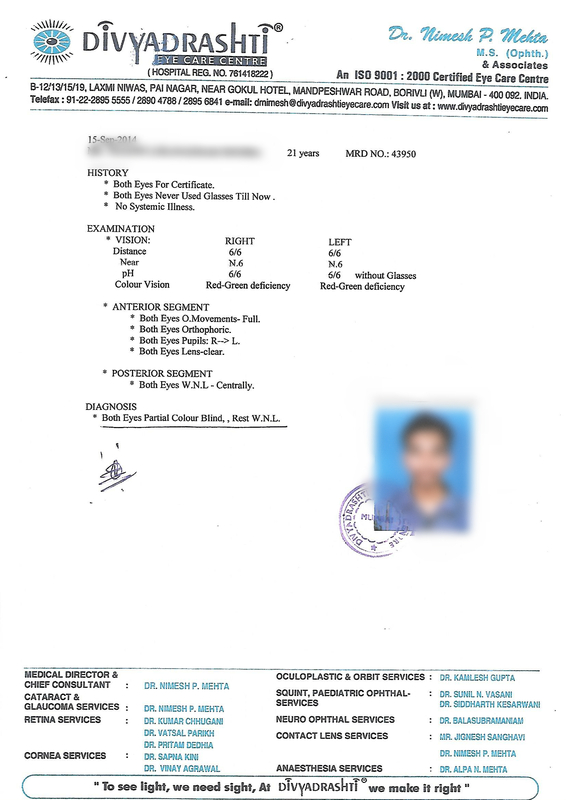 As I’m living in Pune – I came to know whole map of Pune as I was searching for a single hospital where I can get my colour blindness treated. But the only answer which I got from all hospitals was no. Finally one of my friend told me about sanjeevan. Then straight way I joined it and I was having complete hope that I will overcome my problem. And I did that. For this success I want to thank my parents for supporting me financially,I want to thank Goyal Ma’am as well as Goyal Sir for treating me nicely. \thanks to staff and friends also, especially my roommates whole created a great environment at house so I spend whole time without tension. Lastly I want to thank one person which is last but not vast that is me, because I did practices sincerely. So the thing is we always need to have believe on self and hope of achieving success. Thanks to : Dr. K. K.Goyal ,Dr. S. Goyal & the entire staff of Sanjeevan school for perfect eye who assisted me in improving my “Colour vision and Eye sight” for which I shall be thankful to them through my whole life. And at last and most the good friends here and the Jovial culture of the Institute. I am a T. Pilot from Indore, when I went for my medical I was declared unfit on the ground of colour blindness, I was not able to read any plates of Ishihara Book. Then I came to know about Sanjeevan. 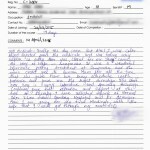 I was not having full confidence regarding my treatment, but it was the only way. Then I started exercising within a month the improvement started. And today I cleared my Class II medical I can read all 38 plates clearly. Thanks to Sanjeevan. I am highly obliged to Dr. K. K. Goyal and Dr. Suman Goyal. The staff is really co-operative and helpfull. Thanks to Sanjeevan they helped me fulfilling my dream. Hi, Right from childhood I was very much passionate of becoming marine engineer while joining in college I came to know that I was colour blind. I was so much depressed that I had to leave loving the profession. I contacted many doctors, they said curing colour blindness is impossible. I was worried a lot. One while browsing I saw ‘SANJEEVAN SCHOOL FOR PEFECT EYESIGHT’ a ray of hope. Immediately I called them and came to Mumbai. I met Dr.K. K. Goyal and Suman Goyaltwo wonderful people lifted my boast. I could see the change in the first day itself. Sanjeevan is a wonderful place. No one feel it as a hospital, its like home, that’s the way they treat everyone here. People here were very caring especially the staff. I am very very much thankfull to Dr. K. K. Goyal and Mrs. Suman Goyal for making my life colourfull. Hi, I am working as a 4th engineer on cargo vessels (ship). 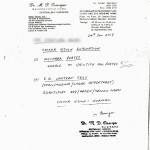 I was selected as a graduate marine engineer in 2007, February near mumbai. I finished my training both on shore as well as on ship, appeared for examination MEO-4, I cleared the exam in first shot. 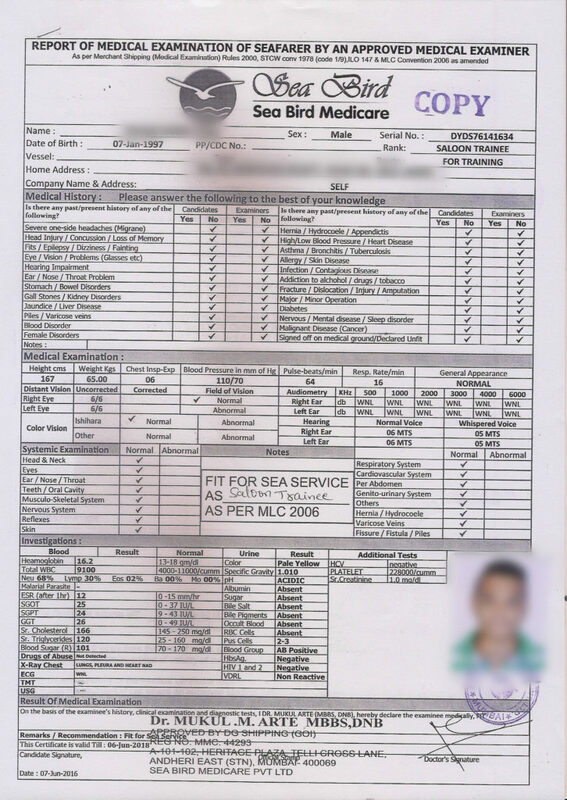 This time I was about to join ship, in the medical examination I was declared as not fit for sealife since I was having partial red-green deficiency. At that moment I didn’t understand what was the problem in me, when I reported it to my father, I came to know how big the problem was. Things became darker for me and that night was a nightmare for me. I along with my father sat before the internet, and then we came to know about ‘SANJEEVAN’. Next day my father said “Beta lets give it a chance to Sanjeevan” and guess what, it really worked. I contacted Dr. K. K. Goyal, he suggested me how to reach to Sanjeevan right from the moment I got down from the train at LTT with greatest patience. 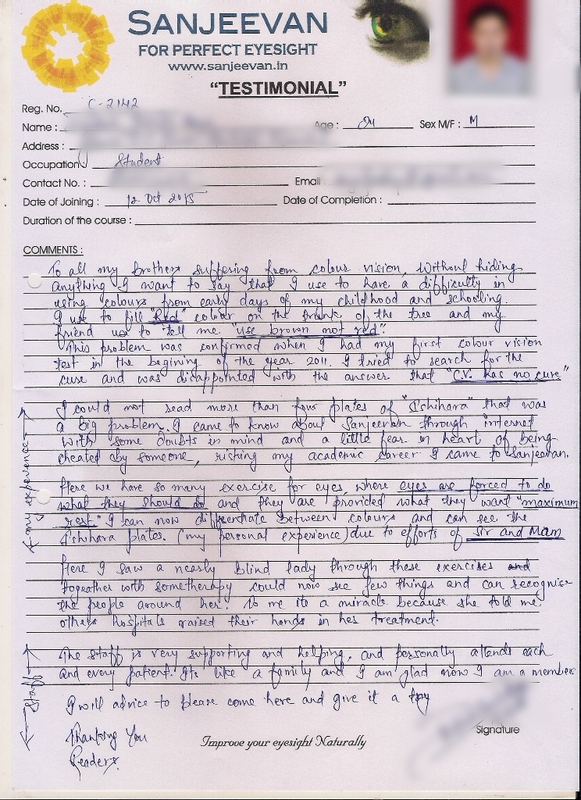 From the day 1 in Sanjeevan I never felt that I am in a hospital or I am defective. 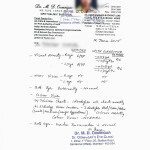 Each staff member along with Dr. K. K. Goyal and Mrs. Suman Goyal treated me as a family member. 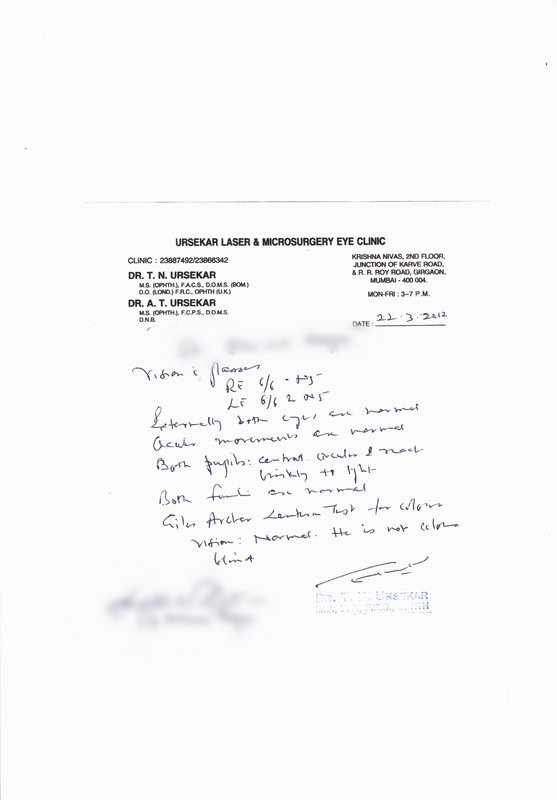 I should always be thankfull to madam Suman Goyal and Dr. K. K. Goyal for having great patience to deal with me. I shall never forget the way madam boosted up my morale when I was completelydown as time was running faster than my rate of improvement. 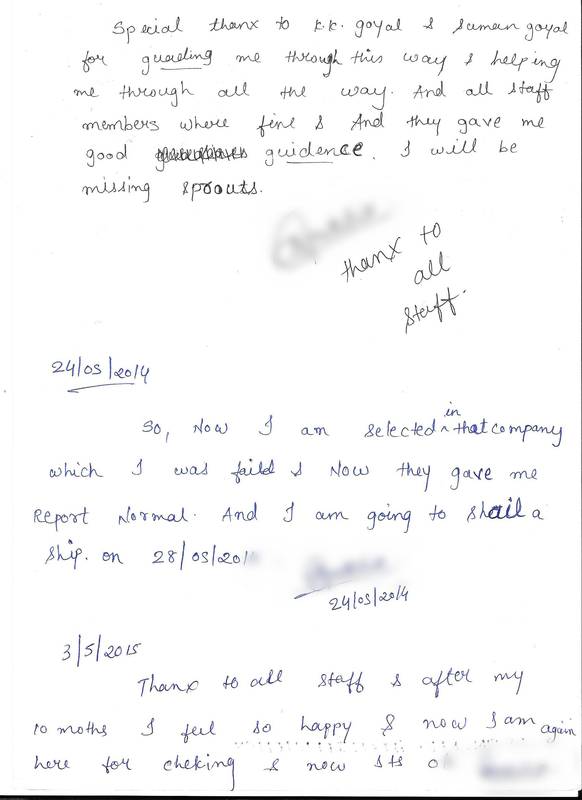 Each staff member boosted my morale, I am really thankful to everyone including the assistants. I had really a nice time in Borivli Sanjeevan-School For Perfect Eyesight. 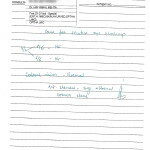 It was a nightmare that always scared me for a long time until my aivation medical check up where I was subjected to be having a partial red and green colour deficiency one year ago while I was on the verge of completing my Pilot training in USA, it was a critical moment for me which could have shattered all my dreams to become a pilot one day, but even though doctors and others mentioned about there being no treatment for colour blindness I tried searching for it on the internet and to my biggest surprise I came across a link to school in India which clearly stated a treatment for colour blindness. 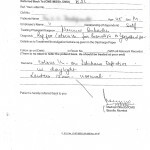 I contacted the school and Dr. K. K. Goyal from this centre talked with confidence that he could treat my deficiency. 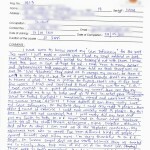 That gave me hope again, and after a few months I came all the way to bombay, India for treatment. the first day I met the friendly couple Dr and Mrs. Goyal I felt something vibrant about the whole environment the soothing music that was in the background the smiles and the care that they showed me, it was all very pleasant and made things very easier. my eyes were checked before the treatment and I had a vision of 6/5 with glasses and from the Ishihara book I could read the first and the last plate. The ;antern test results were “red as yellow and green as red” but this did not let my hopes fade away, for I knew that this could be fixed with proper exercises. So I began my sessions the very same day and just after the first session I found out that I could read about 7 more plates, I was shocked to see the results myself for it was only a few hours back I couldn’t see any, this gave me more hope and more energy to try harder, and as days past I found mmore and more improvement even with a bad cold and cough I had been having since I came to India, I fought till I reached mu goal. Today I can read all the 38 plates on the Ishihara book now and my lantern test is perfect, also I have a vision of 6/6 without glasses. My world is much more colourful than it used to be and without any fear I can continue my road to success. Anything in this world is possible if you work hard to achieve it, work with confidence and believe in yourself. Believe in what you do and have faith in yourself, your dream might not be just too far. I would like to thank my god and most of all Dr. and Mrs.Goyal for unlimited care that they have always being providing not only during the sessions but also the effort they put on to help me ease my cold. 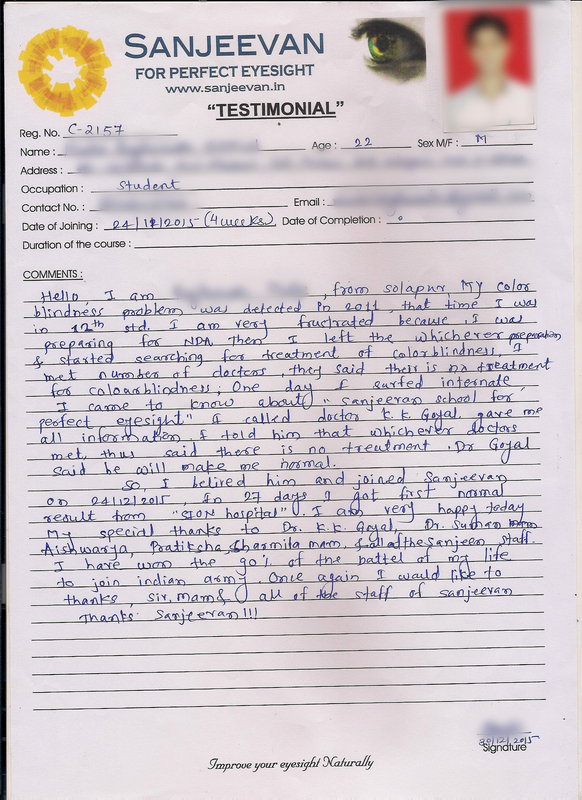 The staff of the school are like angels sent from heaven, all of them so caring and concerned, I would like to sincerely thank Dr. Goyal’s assistant for making my stay here very convinient and all the nurses for making my sessions a wonderful experience, last but not the least I would like to thank my roommates for being supportive and also making my stay a fun experience and most enjoyable. I want to wish good luck to everyone who joins this woderful place and the best thing I have learnt so far during this month was if “Sanjeevan-School For Perfect Eyesight” makes a promise, it sure keeps its promise. it was heartbreaking to find out that I was colour blind, I did a lot of research online it was then that I came across Sanjeevan! 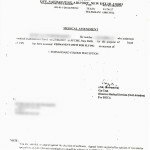 I came to India to start my treatment on the 2nd of sept. and met Dr. K. K. Goyal and Mrs. Suman Goyal . They looked after me really well. I never felt like I am away from home. 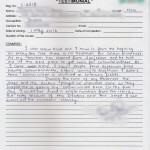 The treatment was a great experience! First day I could read only 2 plates and after 10 days I was able to see almost all the plates. Dr. K. K. Goyal and Mrs. Suman Goyal made sure everyday to come for me was a more exciting day. I have learnt so much about life in Sanjeevan it is not only seeing the colours. They teach you how to believe in yourself and to be happy all the time. Sanjeevan has a way of elevating ones mind to another level. 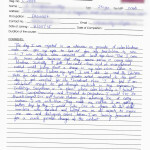 I would also like to say sorry to the staff for the tough time I gave them! Your support is highly appreciated! I would also like to thank Dr. Goyal’s assistant for his guidance and support. Mrs. Suman, thank you for inspiring me. I have seen so much confidence within me now! For some ‘sky is the limit’! As you say “logic will take you from A to B but imagination can take you everywhere!” I have learnt that there is no limit for anything and that anything can be achieved in life. Dr. K. K. Goyal and Mrs. Suman Goyal, thank you for being so nice to me and giving me a new family and home. ‘Namaste’ with a lot of love! 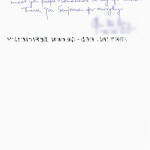 First of all, I have to say thanks to Sir Dr. Goyal and Madam Mrs. Suman Goyal and staff of the school. Everything is possible in the worlld its proved by our Doctor. 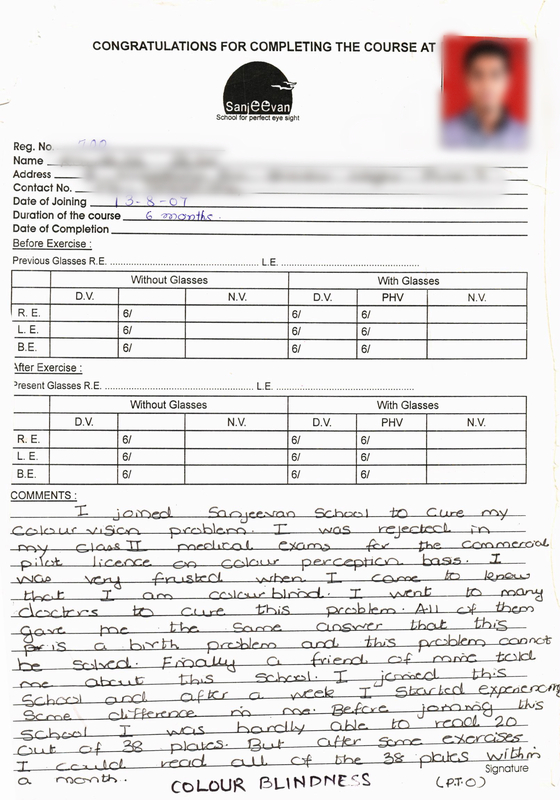 My colour blindness was treated within 17 days after coming to Sanjeevan- School For Perfect Eyesight. I was in merchant navy for 11 years. Due to colour blindness my promotion was stuck. I was worried and lost my confidence. I went to all doctors throughout India, everybody gave one answer “change the profession”. Due to this, I lost my hair, health and confidence. Daily I prayed to god. Sure I know god will show one option for me. The option is SANJEEVAN. First I didn’t have confidence in Sanjeevan. I asked so many questions to Dr. Goyal. After joining the class, slowly I came to know that I was improving. 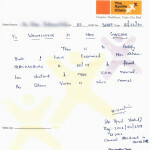 Sanjeevan School is giving not only treatment for colour blindness, they also give confidenceand mind peace. Now my eye vision is normal and colour blindness also. I went to all doctors who made me unfit and now detected normal. Now I am very very happy to say I will go ahead in my career. I have to say millions of thanks to madam, sir and all the staff, they are really co operative and friendly and we all are a family now. 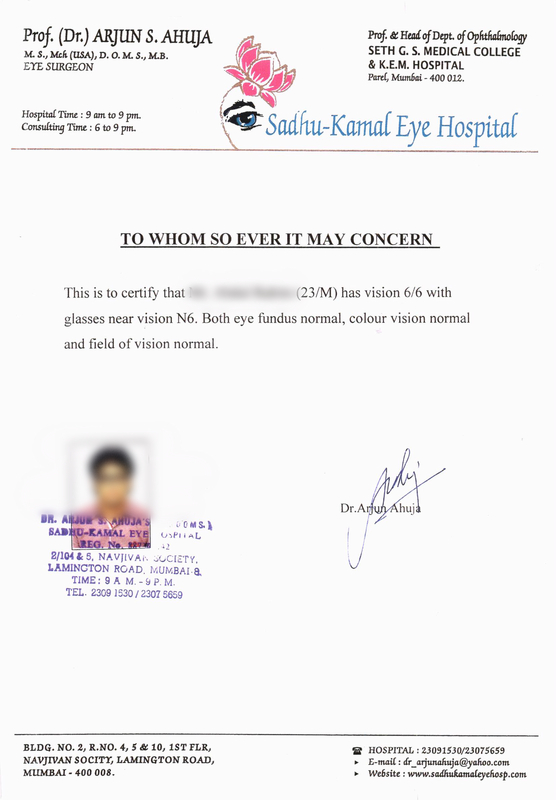 Finally, the credit goes to Sanjeevan-School For Perfect Eyesight. I really appreciate and wish all the success for the school for te service. They have a life to me. Thanks to Dr. K. K. Goyal and Mrs. Suman Goyal and the staff. 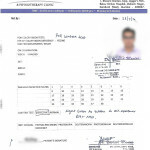 I am really thankful to Dr. K. K. Goyal and Suman Madam, for helping me to solve one major problem of my life. I am very much thankful to all the staff members of Sanjeevan. I was very upset for this colour blindness problem. After joining Sanjeevan. I became, able to read 60% of Icihara book on the first day of exercise. Then I tried myself within 15 days of treatment. 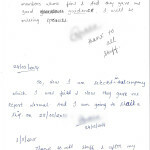 Now I am very much happy because, I can join my company without any hesitation and problem. So thanks to Sanjeevan, and all its staff members.